This study attempts to analyze the decisions made by Field Marshal Albert Kesselring prior to and during the battle of Anzio in February 1944. The focus of the investigation is on Kesselring’s decision to shift Army Group reserves from the Rome area prior to the Allied amphibious assault at Anzio on 18 January 1944, then his involvement in the development and execution of the German counterattack against the Allied beachhead conducted on 16 February 1944. The investigation reveals that Kesselring, the Army Group Commander, made a proper and effective decision in committing the Army Group reserves to the German defensive line prior to the invasion, and that his involvement in the development and execution of the German counterattack at Anzio was doctrinally sound and generally effective. On 21 November 1943, the German High Command appointed Luftwaffe Field Marshal Albert Kesselring to the position of Commander in Chief, Southwest and Commander, Army Group C. Hitler's decision to give this job to Kesselring was the culmination of a historic debate between Kesselring and Field Marshal Erwin Rommel, who shared a divided command in Italy, about how best to defend the Italian peninsula. The divergent proposals for the conduct of the war in Italy, as solicited by Hitler, represented the strategic and operational concepts of the two Field Marshals. When Hitler finally made his decision about who was to command the theater, Rommel was transferred to prepare for the inevitable Allied landing in the West, leaving Kesselring to put his ideas into reality. The job in which Kesselring found himself in November 1943 was really not new, but a continuation of his responsibilities since his appointment as Commander in Chief, South, in November 1941. At that time, he was given the responsibility to supply Rommel in North Africa. Later, in October 1942, he was made responsible for the defense of all German occupied Mediterranean areas except those under the control of Rommel. Because of his experience, Kesselring was intimately familiar with the situation in Italy and had extensive working relationships with his Italian counterparts. It would seem, on the surface, that such an assignment would not be unusual for a Field Marshal. Yet, in this case, there were at least three unusual aspects to Kesselring's job. First, Kesselring was responsible for all German forces in his area of operations. When earlier appointed Commander in Chief, South, he had also been given responsibility for all German forces, thus organizing the only command outside of the German High Command (OKW) which controlled forces from all three services. Secondly, Kesselring was an Air Force officer. 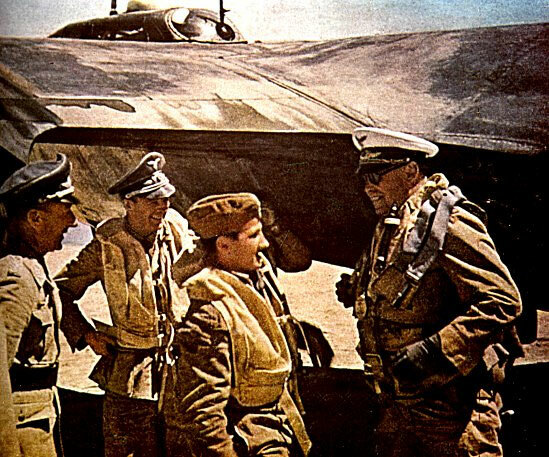 Aviators like Kesselring were not given long term ground assignments, and no other senior Luftwaffe officer was placed in the position of a theater command. In this sense, Kesselring's position was especially unique. Finally, during the months prior to his appointment, Kesselring was not primarily responsible for the defense of the Italian peninsula, the Italian High Command had that responsibility. Kesselring operated on a coordinate level with the Italian High Command, being directly responsible for the conduct of coalition warfare with the major German ally in the European theater until their capitulation to the Allies in September 1943. Kesselring was therefore, a man in a highly responsible and unique position within the German command structure. Despite this uniqueness, there is currently very little material published concerning Kesselring as a commander. Aside from his own memoirs, a biography and a magazine article, Kesselring is mentioned in published material only incidentally to specific combat actions or decisions, biographies of other leaders, or discussed in relation to larger force developments during the inter-war years. Additionally, there are postwar historical documents* prepared by German officers under the supervision of military historians, a significant portion of which was prepared by Kesselring himself, which relate to his operations, but are not synthesized in any way. Our failure to carefully analyze Kesselring's situation and approach to command, particularly in the area of decision making, leaves a considerable gap in our historical knowledge of the campaign in Italy from the German perspective. The purpose of this thesis is to provide an analysis of Field Marshal Albert Kesselring's decisions as the Axis theater commander in control of German forces at the battle of Anzio, January-February 1944, specifically, his decisions regarding the commitment of his Army Group reserves to the Gustav Line on 18 January 1944 and the development and implementation of the counterattack plan which led to the German counterattack of the Allied beachhead at Anzio beginning 16 February 1944. As an introduction to a wider study of Kesselring as a commander, this evaluation is intended to focus on a single, well definable crisis faced by Kesselring during the defense of Italy, thus providing a vehicle for evaluation. This paper will not provide an indepth evaluation of the battle of Anzio. Anzio, a coastal town on the Tyrrenian Sea, south of Rome, was the scene of 9 major amphibious assault by the VI Corps of the Fifth (US) Army in late January 1944. The resulting series of battles, fought in late January through May, were a desperate struggle for control of the beachhead and the routes leading from it. The Allies intended to outflank German defenses of the Gustav Line located further south, and open the way to Rome. The Germans sought to contain and destroy the Allied forces in the beachhead while preventing breakthrough along the Gustav Line. For Kesselring, this crisis meant that he had to balance forces and threats between the beachhead and the line further south, in order to achieve his objectives at both locations with his carefully husbanded resources. Consequently, Anzio can be viewed as a single, important crisis in the context of the larger defensive consideration, and an opportunity to examine Kesselring's decisions within that larger framework. As stated earlier, there is currently no definitive evaluation of Kesselring as a commander. This lack points to a need to evaluate the conduct of the Italian campaign from the perspective of one of the single, most important figures in the theater, the German commander in Italy. It is almost incomprehensible that to date, of the many pages written about the conduct of this campaign, that the perspective of Albert Kesselring as a commander has not truly been uncovered. Among the many needs generated from this critical one, is the need to understand the decisions made by Kesselring at Anzio. Current material does not thoroughly evaluate his decisions nor the factors considered by Kesselring in the three critical decisions affecting the outcome of the battles at Anzio; his commitment of the Army Group reserves to the Gustav Line, his involvement in the development of the !6 February counterattack plan, and his role in the conduct of the counterattack. It is the need to fill in the details of these aspects of Kesselring as a commander that this paper addresses. 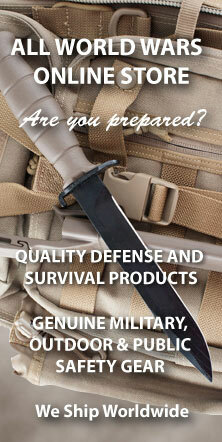 Further, professional soldiers are interested in our military past for a variety of reasons. We can learn from the experiences of others, as we discover that perhaps new ideas are not so new, and how to avoid improper applications of combat power. As to the latter — historical accuracy and accountability demand a proper, professional approach to the facts in reporting and interpretation. Finally, there is a need for synthesis. Parochial views of history are dangerous, particularly when placed into practice as a part of military science. As we form opinions of individual leaders, the views of many are needed to prepare an objective assessment, regardless of the difficulty of reconciliation. Reports on Kesselring are a case in point. Aside from the biography by Kenneth Macksey, most material written about him is from various personal perspectives, little of which appears to be objective. These views need reconciliation and evaluation for a proper portrait of Kesselring as a commander. I do not propose to do this in a comprehensive way, but do propose to provide a synthesis and evaluation in respect to the stated purpose of this paper. These questions lead to further subsets of questions which will be specifically addressed in the evaluative portion of this paper. This paper will generally follow a chronology leading to the battle of Anzio. Chapter Two will provide a background to the situation in Italy through Hitler's decision to appoint Kesselring to the post of Commander in Chief, Southwest, a brief sketch of Kesse1ring's career to the same point in time, and a discussion of Kesselring's personality. Chapter Three will discuss Kesselring's key decisions under evaluation in a narrative format, set in the discussion of the Anzio operation. Chapter Four will provide an analysis of the decisions through the use of a series of research questions. Following the evaluation, Chapter Five will draw some conclusions and make recommendations for future research. A bibliography will also provide further information concerning sources used in the preparation of this paper and for further reading. The purpose of this chapter is to build a background of information concerning both the career and personality of Albert Kesselring, and the events in Italy leading to the development of the Anzio landing. Both discussions will be brief, but will provide essential information for consideration of Kesselring's actions at Anzio in the next two chapters. The first section of this chapter will be concerned solely with Kesselring's background through his duties until the fall of North Africa. Then, the focus will shift to the development of the defense of Italy, beginning with the invasion of Sicily and ending in December 1943 on the Italian mainland. Finally, some reflections of Kesselring as a commander under construction will end the chapter. Albert Kesselring was born at Marksteft in Bavaria on 30 November 1885. He entered service in the 2nd Bavarian Foot Artillery in 1904 as an officer in training and was later commissioned a lieutenant in that regiment and posted to the German-French frontier at Metz. Among his various duties at Metz came his first flight experience in testing observation balloons used to adjust artillery fire. During World War One, Kesselring served the bulk of his time as the adjutant of the 1st Bavarian Foot Artillery and of the 3d Bavarian Artillery. In the spring of 1917 when the British and Canadians began a drive at Arras, Kesselring was instrumental in preventing a rout of German troops and helping to stabilize the situation over a period of several days. He repeated the performance again a few months later at Messines. The result was his direct appointment to the German General Staff, without the formality of the requisite attendance at the Kriegsakademie. The indication for the future was an officer who could effectively organize and conduct defensive operations under less than optimal conditions. Following the First World War, Kesselring was selected as a member of the 100,000 man Riechswehr and for appointment to the Truppenamt, the thinly veiled successor to the German General Staff, which was now prohibited under the terms of the Versailles Treaty. About sixty other officers were selected as well by the new architect of the Reichswehr General Hans von Seekt. The work of these officers was absolutely essential to the future recreation of the German armed forces in the 1930's. At one point, Kesselring was responsible for writing the first memo dealing with the organization and development of the future Wehrmacht General Staff.Additionally, Kesselring spent a significant amount of time with weapons development and the associated logistical development to support these new weapons systems. Seekt moved officers, including Kesselring, from job to job in the Truppenamt in order to expose them to various tasks and allow them to gain expertise in several areas. This approach proved invaluable to the development of these officers in preparation for the future expansion of the German Armed Forces. On 1 October 1933, Kesselring was appointed Chief of the Luftwaffe Administrative Office. At this time, the Luftwaffe existed unofficially because of restrictions of the Versailles Treaty. Consequently, Kesselring found himself out of uniform for the first time in nearly 30 years and no longer considered a soldier, but an airman. In his new job, however, he found that it was basically a continuation of many of the things he had been doing at the Truppenamt. As the Chief of Administration, Kesselring was instrumental in the force and material development of the Luftwaffe. By 1936 Kesselring held the rank of Lieutenant General. In that year, the Luftwaffe General Staff was formed officially with Walther Wever as the first Chief of Staff. Following Wever's untimely death in an airplane crash, Kesselring was appointed as the Luftwaffe Chief of Staff on 15 August 1936. As the new Chief of Staff, Kesselring used his influence to resolve the strategic versus tactical debate then current in the Luftwaffe. Some, including Wever, felt that the Luftwaffe should develop into a strategic force with long range bombing capability which required technologically sophisticated and expensive equipment. Kesselring, on the other hand, saw the Luftwaffe as a tactical support system oriented on supporting the ground forces in close coordination and using less expensive, but very accurate attack aircraft such as the JU 87 (Stuka). With Kesselring as Chief of Staff, the decision to arm for tactical support was assured. A second issue dealt with by Kesselring was in the area of organizational authority. Herman Goering was the Commander in Chief of the Luftwaffe and the Air Minister on the Reichs Cabinet. Erhard Milch, the former head of Lufthansa, was the Secretary of State for Aviation. Kesselring, as the Chief of Staff of the Luftwaffe General Staff, assumed that he should report directly to the Commander in Chief, a normal organizational arrangement. Milch, however, felt that he should have the capability to intervene between the two in another layer of authority. The problem centered on a lack of definition of Milch's responsibility and authority. Kesselring pushed for limiting Milch's authority and establishing a permanent, official relationship between the Commander in Chief and the Chief of Staff  Milch disagreed. Goering decided in favor of Kesselrings and the Luftwaffe adopted a new command structure defining the limits of authority of the various officers and establishing official relationships on 2 June 1937. Having accomplished this task and realizing that someone else should exercise the new official relationship, Kesselring asked to be relieved and placed on the retired list. He was relieved by Goering but not retired. Kesselring found himself in command of Luftkreis (Air District) III, responsible for the air defense of Silesia, Saxony and Central Germany. His command was changed from an area command to an operational command on I April 1938 and redesignated Luftflotte I (First Air Group). This particular command contained a significant portion of the Luftwaffe's air power. This approach became a consistent trademark of Kesselring — priority of support to the ground, and clearly defines his reasons for pushing for a primarily tactical air force. The result of this cooperation in Poland was the effective use of the J-87 in close air support and the deliberate use of the 88 mm anti-aircraft gun as a ground support weapon. Following the conclusion of the Polish campaign, Kesselring was asked to stay in Poland in order to develop air defenses for the newly acquired territories. That job did not last long, however, because he was soon transferred to the west to take command of Luftflotte II from an old friend from Truppenamt days, General Felmy. Felmy had been relieved from command over a breach of security which had compromised the plan for the invasion of the Netherlands, Belgium and France. This new command included the administrative areas of Munster and Hamburg, an airborne group, three bomber groups, a fighter wing, and an anti-aircraft artillery corps. This transfer came in time for the final preparations of the coming invasion of the West. The invasion plan included a significant ground force effort as a part of Kesselring's responsibilities. He was charged with planning and conducting the employment of the first large scale use of airborne, gliderborne, and airlanded troops in Western Europe. These units were to be used to seize key points in advance of the main body. In the employment of these units, Kesselring was concerned with surprise and the execution of complicated transport arrangements to get the airborne, glider, and air transported units on their objectives. Although these are seen as normal airborne problems today, for Kesselring's staff and the units, these were pioneer efforts. Kesselring reviewed the plans developed prior to his arrival and made some changes. His primary concern, however, was with the arrangements for ground support, in order to insure close cooperation existed with ground commanders rather than the very independent Luftwaffe action envisioned by Goering. Following the rapid penetration of France and the creation of the pocket at Dunkirk, Goering proposed to Hitler that the entrapped forces be eliminated by the Luftwaffe, and that the Army be held in place. Kesselring objected to this proposal at the time. He did so, not because he felt that the ground forces were better suited for the job, but because he felt that his air forces were too depleted  to accomplish the mission. From this perspective,  Kesselring felt chat the failure of the Luftwaffe to reduce the resistance at Dunkirk served to vindicate his judgment. The campaign in France and the later Battle of Britain (which for Kesselring actually ran from June to December 1940), both serve to demonstrate some of Kesselring's characteristic traits. During the Battle of Britain, he displayed his well known optomism about the capabilities of his forces by placing a lot of confidence in the inflated Luftwaffe estimates of destroyed British aircraft by using those figures for planning purposes. He attempted to fly at every opportunity to observe the effects of Luftwaffe attacks such as the attack on Coventry. The desire to observe the battle first hand and to see the effectiveness of his forces perhaps reflect his 30 years' experience as an artilleryman. At any rate, this type of activity resulted in his being shot or forced down a total of five times during the war. Additionally, the campaign in France and the Netherlands serve to illustrate Kesselring's meticulous planning and execution of airborne operations while at the same time coordinating close support and air superiority activities. In reviewing these traits, a picture is formed of a capable, optimistic and courageous commander, well suited to the type of offensive war in which he was involved. By December 1940, Kesselring was deeply involved in planning for Operation BARBAROSA as the continued Luftwaffe bombing of Britain degenerated into a diversionary effort to mask that invasion. Luftflotte II moved to Warsaw in June 1941 just prior to the invasion as Kesselring again found himself in support of von Bock and his Army Group Center. The invasion began with air strikes at 0330, 22 June 1941. Kesselring was constantly in the air, observing operations, landing to coordinate with army elements and visiting crews returning from their missions. Kesselring's involvement in Russia was relatively shortlived. In mid-September, he was asked about the possibility of being transferred to the Mediterranean theater by General Hoffman von Waldau, an officer on the Luftwaffe General Staff. Kesselring did not seriously consider the request at the time, and soon forgot about it in the hectic activities of the Russian campaign. The request changed to an order, however, in November. Rommel, then in North Africa, needed substantial air support, and the Royal Air Force, operating from the island of Malta in the Mediterranean, was making resupply of North Africa a very serious venture for the Axis. On 28 November, Kesselring was appointed Commander in Chief, South, and given  the mission of insuring that supplies got to Rommel. With him went the headquarters of Luftflotte II to take command of all Luftwaffe forces in the Mediterranean. The command relationship which developed upon Kesselring's arrival in Rome was rather awkward and not in line with Hitler's intentions. Hitler desired for Kesselring not only to take charge of German forces in the area, but Italian forces as well. This turned into mere wishful thinking. Upon his arrival in Rome, Kesselring found that the Italians were extremely suspect of a situation in which a German commanded all forces in their theater. For the sake of cooperation, Kesselring agreed with Mussolini and the Italian Chief of Staff, Count Cavallero, that the Commando Supremo (the Italian High Command) would continue to command all Axis forces in the theater, but that no operational order would be issued without Kesselring's approval. This arrangement made Kesselring's relationship with Rommel rather interesting. Rommel commanded the Afrika Korps, which was assigned by Oberkommando der Wehrmacht (OKW — the German Armed Forces High Command directly under the control of Hitler) to the Commando Supremo. Rommel came under the command of Governer- General Marshal Bastico in Tripolitania, who in turn was under the Commando Supremo, who was supposed (by Hitler) to be under the Commander in Chief, South, but was not. This situation was not made any easier by the tension between Bastico and Rommel. Kesselring's primary responsibility was to get supplies to Rommel, and he was to have the air and sea assets to do that. Unfortunately, he did not have official control over the single, most important German formation in the theater, the Afrika Korps. Having the responsibility of a Commander in Chief, but not the authority or the staff organization to carry out chat responsibility, Kesselring had to follow the fine line between pressuring the Italians into more action on one side and maneuvering the German commanders around the Italian obstructionist attitudes that sometimes arose on the other. This was a difficult task under the best of conditions, and the conditions in the Mediterranian theater in 1941 and early 1942 were far from ideal. Rommel, called in to aid the faltering Italian operations in North Africa in February 1941, was pushed back from the Libyan-Egyptian frontier to Mersa Brega on the western side,of Libya in the first month of Kesselring's assignment to the theater. Supplies were not getting through to Rommel because of the effective action by the British on Malta to interdict Axis convoys heading for Tripoli. Indeed, during the month of December, not a single tank made it to North Africa until Christmas, though many lay at the bottom of the sea. Malta was a thorn in the Axis flesh from the beginning of the North African operation. As early as January 1941, the problem was recognized and X Flieger Corps was stationed on Sicily to aid the Italians in fighting the British on Malta. The British, recognizing the strategic position of Malta, continued to strengthen its defenses and became very active in attacking convoys from Europe to North Africa. X Flieger Corps was assigned the mission of reducing Malta from the air. In spite of the Luftwaffe's efforts, the British continued to make increasing inroads into Axis supply efforts throughout 1941. During the initial briefing with Hitler prior to his assignment to Rome, Kesselring was told to reduce Malta from the air with Luftflotte II. Kesselring replied that he felt it impossible to neutralize the island without putting ground forces on Malta. Hitler and Goering, apparently learning nothing about tactical reduction of strongpoints from Dunkirk and the last year's efforts on Malta, devalued Kesselring's opinion and told him to follow orders. Kesselring began operations against Malta on 31 December 1941, culminating in April 1942. He clearly saw the need to occupy the island, and continuously attempted to persuade Hitler and Mussolini to commit ground forces to invade it, but could only elicit half-hearted agreements from either High Command. It was Kesselring's intent to soften the island using Luftflotte II, then to invade. The Luftwaffe's effectiveness in bombing the island and Kesselring's own optimistic evaluation, however, served to invalidate his plan in the eyes of OKW. From 20 March to 29 April 1942, concentrated attacks were made on the island, wrecking port facilities and reducing British fighters on the island to just a few. Kesselring announced on 11 April that the Luftwaffe attack was effective, assuming that he could then persuade his vacillating superiors, naval colleagues and Italian allies that an invasion would now be simple. Instead, they seized the opportunity to take the view that since the Luftwaffe was so effective, an invasion was no longer necessary. Hitler, additionally, was very suspect 'of the type of airborne operation required to take Malta after the serious losses from a similar situation on Crete in 1941. At a conference at Obersalzburg on 29 April 1942, the decision was made to dedicate resources to insure the reduction of Tobruk in Libya, which Rommel now had isolated, then to invade and secure Malta. Kesselring pushed his case hard at the meeting, but had to settle for a compromise. The compromise did not hold. Once Tobruk fell on 21 June 1942, Rommel pressed Hitler, without telling Kesselring, for permission to immediately attack to the east toward Cairo. Hitler, who had already told the designated commander of the airborne invasion force, General Student, that he felt consolidation of the island impossible, used this pretext to scrap the whole plan. Kesselring went down fighting. On 26 June, at a meeting with Rommel, Cavallero and Bastico, he argued strongly with Rommel to change his mind. Rommel refused, sealing his own fate as the British began to rebuild Malta quickly and Kesselring soon found it difficult, then nearly impossible, to sustain Rommel's forces in North Africa in the months to come. In October 1942, a re-organization of the southern command made Kesselring responsible for all occupied Mediterranean coastal areas with the exception of those areas under the control of Rommel. Kesselring's role was expanded from that of providing supplies to Rommel to a true Commander in Chief with the appropriate authority. Thus, he became the only German commander who was in control of all three services within the scope of his command. In the reorganization, Luftflotte II gained a separate commander and Kesselring was allowed to form a staff. The primary reason for this change in focus was concern for an Allied landing somewhere in the Mediterranean. That landing came on 8 November 1942 as American and British forces landed in Algiers, Oran and Casablanca. As the Axis now faced a two front war in Africa, Kesselring's command was expanded in January 1943 to include all forces in occupied territories. This expanded command did not ease the problems in North Africa, however, as years of OKW neglect of: the Mediterranean theater could not be made up by the supplies an,1 men now pouring into North Africa. The Allies were too strong, leading to the inevitable fall of Tunisia on 9 May 1943.
. . . maintaining the Italian theater in order to assure and keep the Italians on our side. The complete failure of the Italian divisions in Sicily, necessitated, however a "delaying defense" on this island. The Italian peninsula itself was to be "defended." Italy's desertion frustrated also this plan. It compelled the German command to change over finally to delaying defense which, of course, was temporarily also turned into offensive actions. As indicated, continued Italian participation following the loss of their best units in Africa and general weariness with the war and with Mussolini were major concerns within the German command. First, with the intent of bolstering the sagging Italian commitment to the effort, then with the responsibility of defending the country once the Italians pulled out of the conflict, Germany became increasingly drawn into reinforcement of this newly vulnerable southern flank. What follows in the remainder of this chapter is a trace of Kesselring's involvement in that commitment and the development of the general defensive situation on the Italian peninsula. On 11 June 1943, the Italian garrison on the island of Pantellerra, 120 miles southwest of Palermo (see Appendix A), fell to the 1st British Division without a contest. For Kesselring, this event solidified the feeling that the next Allied effort would be in Sicily. With the island now in Allied hands, Eisenhower had the capability to launch land based tactical air strikes on Sicilian beaches. to breaking away from Germany. The resulting tension mounted during the months of Axis reverses in North Africa through the invasion of Sicily in July 1943. The chill was felt all the way to Berlin as Hitler became increasingly concerned about the seriousness of the Italian commitment. In the final analysis, the Axis was not built on the commitments of two nations, but the mutual interests of the two dictators. Against the background of concern and coalition degeneration played the opening move of the Italian campaign — the invasion of Sicily. Operationally, Kesselring as Commander in Chief, South, was responsible for the defense of the Mediterranean, but Italian soil was still under Italian control. German ground forces committed to Italy, therefore, were retained under Italian command, but under German logistical responsibility. Kesselring did manage, however, to retain a significant "informal" command relationship with German units in Italy. The Italian 6th Army in Sicily was commanded by General Guzzoni with about 200,000 poorly organized, trained, deployed and equipped personnel. Two German formations, added as "stiffiners" were in Sicily under 6th Army control — the 15th Panzer Grenadier (Pz Gr) Division and the German Goering (HG) Panzer Division, both of which were first-class units. The basic Italian concept for the employment of these forces, which was significantly influenced by Kesselring, was to use poorly trained and equipped coastal units backed by infantry at strongpoints. The best Italian divisions and the two German divisions were arrayed as counterattack forces within the interior. Kesselring insured that the German divisions were placed along the southern coast of the island, where he felt the Allied main effort would be placed. The Allies landed along the southern and southeastern coasts of Sicily early on 10 July 1943. The fighting was intense, as German and regular Italian divisions took the brunt of the fighting attempting to throw the Allies from the beachheads. Communications within the 6th Army broke down quickly. On numerous occasions, communications from German formations in Sicily to Kesselring's headquarters on the mainland were the only link between the peninsula and the island. Kesselring, consequently, unable to reach Guzzoni at his headquarters, found himself involved in making operational decisions from the mainland without regard to the Italian commander on the island. The Italian defense quickly broke down, and Kesselring, as well as OKW realized that the Germans would have to assume responsibility for the defense. The Commando Supremo also recognized the situation and asked OKW for increased air and naval support on 13 July. Simultaneously, Kesselring requested permission to move the 29th Panzer Grenadier Division from the mainland, and the remainder of the 1st Parachute Division (one regiment jumped into Sicily on 12 July as immediate reinforcements) as well as more submarines and torpedo boats with which to harass Allied shipping. Before authorizing the movement of these units, Hitler briefly considered the abandonment of Sicily in order to concentrate forces on the mainland. Kesselring, however, dissuaded him in order to bolster Italian morale, which at this point was critical. On 13 July, Hitler authorized the movement from the mainland of the two divisions, plus the XIV Panzer Corps Headquarters to take control of the divisions on the island. Its task, until 13 July, had been to provide administrative and logistical support to the divisions committed on Sicily, so the corps headquarters was familiar with the situation and already had a working relationship with the division staffs. The deteriorating situation in Sicily, particularly the poor showing of Italian troops, brought Mussolini to the end of his power. With a loss of confidence in the Puce, the Fascist Grand Council met on 24 July and voted Mussolini out of office. He was immediately arrested and detained. King Victor Emmanuel, forwarned of this possibility, appointed Marshal Pietro Badaglio to head the new government with the charter to continue the war openly as a member of the Axis, but to seek a means of peace with the Allies as soon as possible. As these events on the mainland transpired, the situation on Sicily grew worse. General Hube, the commander of the XIV Panzer Corps, assumed command of German formations on the island with Kesselring orchestrating all three services from the mainland. Hube concentrated his forces in a defensive perimeter in the northeast of Sicily where his four divisions could best utilize the rugged terrain on a line running around Mount Etna. It became clear to Kesselring, as it did to OKW, that the Germans must soon withdraw to the mainland in order to prevent a loss of significant forces as had happened in North Africa. Intending to buy time with good defensive positions, Kesselring nevertheless ordered Hube to begin preparations for a withdrawal in case the Commando Supremo should decide to surrender Italy to the Allies with German forces still on the island. The withdrawal of the XIV Panzer Corps from Sicily was planned and executed with meticulous detail. Begun on 8 August, without waiting for OKW approval, Kesselring oversaw a perfectly coordinated force withdrawal conducted in cooperation with the Lufwaffe, who provided air cover and supplied a concentrated ring of air defense around the Messina Straits, and German naval patrol boats preventing Allied penetration from the sea. All German units, with equipment, were ferried to the mainland by 12 August, as well as some Italian personnel and equipment. Allied air was ineffective against the air defense coverage. This particular operation is a demonstration of Kesselring at his best — careful planning of an unavoidably complicated maneuver in the midst of political controversy and uncertainty. The Germans were surprised that they got off so easily against the superior Allied air power in this operation. They were not surprised in other aspects of the campaign, however. Kesselring learned some valuable lessons about the placement of counterattack forces against an invading force through his experience in Sicily. He saw the uselessness of attempting to place coastal units very close to the beach and expect them to repel an amphibious assault. On the other hand, he saw the wisdom of using quick reacting mobile reserves to meet the invasion and destroy it before it could develop a foothold. These reserves, as he saw it, must be placed relatively close to the possible landing sites in order to move under the cover of darkness to prevent exposure to air strikes or naval gunfire. The lessons learned in Sicily were later carefully considered in planning for the inevitable invasion near Rome. Prior to the invasion of Sicily, some high level discussions were proceeding at dictator level concerning the defense of the mainland. Hitler became convinced that Italy would eventually retire from the war and desired to have some options in Italy in case that event should come about. Accordingly he instructed Kesselring on 7 May 1943 to offer five divisions to the Italians to help bolster their defenses. The hidden agenda was to have significant German forces in place to prevent immediate Allied take-over, or at best, to prevent an Italian pullout. Ambrosio, understanding the nature of this offer, refused. Hitler felt that his suspicions were confirmed and immediately set about to create a force under Rommel, which eventually became Army Group B, on the northern border of Italy which could enter the country at a moment's notice. Apparently, it was also at this time that Hitler began to consider replacing Kesselring with Rommel as Commander in Chief, South, though this was not manifested until the invasion of Sicily. Kesselring was not notified of Hitler's intention to create an Army Group under Rommel, though he must certainly have known about it. While things heated up in Berlin, Kesselring continued to negotiate with Ambrosio and managed to get the Commando Supremo to accept four divisions and the XIV Panzer Corps Headquarters (these were the forces eventually used in the defense of Sicily), then with the fall of Pantelleria, one more division on 1 June 1943. Thus, Hitler's intent was fulfilled, without Rommel's forceful intervention, by sheer diplomacy and an aggressive Allied attitude. However, the seeds for the coming debate about the nature of the defense of Italy were planted as Rommel settled into place in the north. Things did not have much time to cool down in Berlin before the next crisis. Mussolini was removed from office on 25 July. Hitler reacted by ordering a number of military moves, including kidnapping the King and Badoglio, landing airborne troops in Rome and freeing Mussolini from confinement. Hitler also intended to withdraw troops from Sicily and Corsica in order to concentrate them on the mainland and place them under the control of Rommel. Kesselring was not idle, however. Badoglio stated that the Italians would continue to fight. Kesselring believed him and persuaded Hitler not to take immediate action, but to continue the alliance and at the same time, to infiltrate forces into Italy instead of developing open conflict with the Italian Army on the mainland. Though Hitler agreed with these proposals, he still felt strongly that the Italians would withdraw and directed the development of contingencies in case of that eventuality. One contingency dealt with the possibility of an Allied landing on the mainland, and another with the possibility of an Italian surrender. My father (Rommel) therefore proposed to give up southern and central Italy and make a final stand in the Apennine line south of the Po valley. This would shorten the coastal front and enable it to be more thickly held. Kesselring, on the other hand, was of the opinion that it was well within the bounds of possibility to maintain resistance south of Rome for quite some time. A considerable loss of political prestige, relinquishing the very important contribution made by Italian war industries and agriculture to the Axis potential, surrendering the Po valley, where the Allied Air Force could assemble in any strength required, but also would have caused the complete reversal of the German overall situation in the Balkans and France. Though Kesselring's position seems fairly reasonable, as does Rommel's, a significant problem was built into his basic assumptions concerning the viability of his plan. He sincerely believed that the Italians would continue to fight. Hitler did not, so felt his approach to be more dangerous. While this debate developed, Sicily was evacuated on 12 August. On 15 August, Rommel was named Supreme Commander, Northern Italy, thus dividing command responsibilities in Italy between Kesselring and Rommel. Kesselring recognized the danger of a split command and that he did not have the confidence of Hitler in the matter of how best to defend Italy. Consequently, he offered his resignation. Hitler, uncertain about the best approach, decided to keep both commanders in place for the immediate future and refused Kesselring's request. However, Hitler considered Kesselring an Italiophile and had serious doubts about his reliability to carry out the contingency plan dealing with a possible Italian capitulation — code named AXIS. Additionally, Hitler ordered that the Tenth Army be established in southern Italy under General Heinrich von Vietinghoff gennannt Scheel in order to gather German formations under one headquarters. Vietinghoff assumed his responsibilities on 22 August 1943. The two contingency plans developed by OKW dealt with two situations. If the Allies invaded southern Italy, Kesselring was to have Vietinghoff conduct a fighting withdrawal to an area south of Rome. If the Italians capitulated, Plan AXIS ordered that Italian formations in Italy be disarmed, that Sardinia and Corsica be evacuated, that the Tenth Army withdraw up the peninsula to an area south of Rome until the evacuation was complete, then withdraw to Northern Italy. Neither OKW nor Kesselring foresaw both events happening simultaneously. By 28 August, Kesselring had decided that the next Allied attack would be against the Italian mainland, but was uncertain of the location. 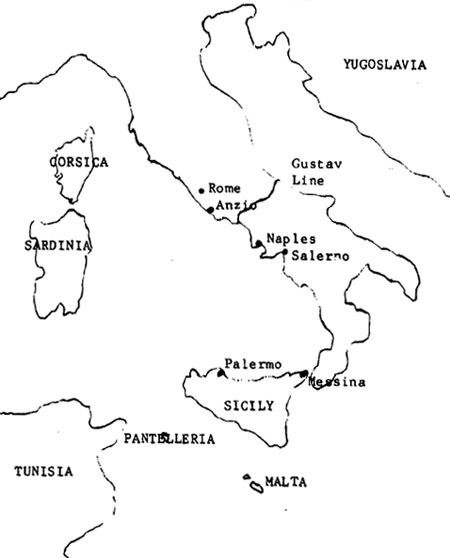 OKW, apparently with better intelligence, predicted the invasion at either Salerno or Naples as early as 22 August. ... he (Rommel) ruthlessly took prisoner and transported to Germany those who would not at once join with the Germans, and thereby incited an antagonism which was to reverberate into the future. Those Italians who were not captured cached their arms or fled with them into the hills. Those weapons were later used against the Germans during partisan operations. Thus, ". . . there were penalties to be paid for obeying OKW to the letter. In all fairness to Rommel, however, the Italian units in the north were much less willing to cooperate because of the ongoing attempt to infiltrate German units in the north, an operation supported by both Kesselring and Rommel. Consequently, the diplomatic approach would have been much more difficult there. Vietinghoff managed to contain the beachhead at Salerno and to create a somewhat stablized situation. Witi. 'n the first few days, Tenth Army had six divisions around Salerno. Though Kesselring and Vietinghoff knew that their position around the beachhead was untenable, due to a possible envelopment to the north, they were also aware of the Allied difficulties within the beachhead, and were prepared to make the most of the situation. After taking a parting shot at the Allies, Kesselring ordered a withdrawal to the north in accordance with a Fuhrer order issued on 12 September 1943. Vietinghoff began a skillful withdrawal to the north, giving Kesselring time to prepare a system of defensive positions south of Rome. Even as the withdrawal from Salerno began, the debate concerning the defense of Italy continued at OKW. Finally, a face to face debate was scheduled in the presence of Hitler on 30 September between Kesselring and Rommel. The resulting decision was not decisive, merely a continuation of two separate commands in Italy with Rommel in the north and Kesselring in the south, each preparing to operate their defenses without regard to the other. As the Allies took Naples and closed on the German defensive system south of Rome, Hitler finally came to a decision. Sometime around 25 October, Hitler decided to place the command in Italy under Rommel and ship Kesselring to Norway. Between 25 October and 5 November, Hitler changed his mind and sent Ronmel to France. Hitler, probably influenced by members of his staff and by Kesselrings' skillful withdrawal and handling of the Allies in the Barbara and Bernhardt Lines, the first two defensive positions in the system south of Rome, decided to endorse Kesselring's defensive concept as well as his ability as a commander. Decisions made by men are complex operations. Part of the complexity are personality factors built into the decision-maker. Though the view of Kesselring presented in this chapter is less than comprehensive, some factors are evident. Others can be added in an attempt to draw together the man and the task for consideration in Chapter Four. Despite his (Kasselring's) well known smile, his amiable and winning manner and his ability to "get on" with others, he was every inch a leader and had no intention of becoming a mere "recording" of the directives of his superiors. Yet, he did generally get along well with his subordinates. A particularly cordial and important relationship developed between Kesselring and Westphal, a relationship in whicn Westphal had some influence over his chief. In dealing with his superiors, Kesselring generally used an indirect approach. Given time, he would attempt to win by allowing his position to vindicate itself. This approach worked well in reorganizing the Luftwaffe command structure in 1937, in ignoring Hitler's intended command structure for the Mediterranean in 1942, and in gaining Hitler's confidence for his proposal to defend Italy south of Rome, instead of in the north. This approach, however, did not always work. Mixed with very direct protests, Kesselring's method failed to win his point over Malta with Hitler, Rommel and Mussolini.
. . . Field Marshal Albert Kesselring, (was) one of the ablest officers in the Hitler armies . . . Kesselring was well qualified, both as a commander and an administrator, and he conducted the Axis operations in Italy with great skill for two years, after which he was transferred to the command of the Western Front in Germany. I was glad to see him go. Finally, in his optimism, Kesselring trusted people. There were exceptions, of course, and with those he did not trust, he could be "determined and obstinate." Certainly Rommel fits into this category. To those subordinates that he trusted, he gave great latitude and valued their opinion. This type of relationship quickly developed between Kesselring and the Tenth Army commander, Vietinghoff, through the operations at Salerno and the withdrawal up the peninsula in late 1943. The proof of this relationship developed as Vietinghoff, mentally exhausted, asked to be relieved of command after weeks of delaying the Allied advance up the peninsula. "Kesselring demonstrated his acute insight into the effects of tension and a willingness . . . to take remedial action in time." Later in the year, Kesselring welcomed Vietinghoff back and returned to him the command of the Tenth Army. The traits identified in this summary, in addition to the background of Kesselring's professional training and experience, and the situation in which he found himself, ail combined to influence the complex make-up of the decision-making process. In November 1943, this man was finally freed of political intrigue, at least for a while. Gone were the problems of boderline coalition warfare and the daily possibility of Rommel taking his job. Given a free hand to command, Kesselring was on his own. 1. Kenneth Macksey, Kesselring: The Making of the Luftwaffe (New York: David McKay Company, Inc., 1978), p.24. 5. Albert Kesselring, A Soldier's Story (New York: William Morrow and Co., 1963), p. 29. 9. Cajus Bekker, The Luftwaffe War Diaries (New York: Ballantine Books, 1975), p. 136. 14. Herbert Molloy Mason, Jr., The Rise of the Luftwaffe (New York: The Dial Press, 1973), p. 356. 26. Kenneth Macksey, Afrika Korps (New York: Ballantine Books, 1968), p. 57. 28. Macksey, Kesselring: The Making of the Luftwaffe, p. 105. 34. Omar N. Bradley, A Soldier's Story (New York: Rand McNally, 1951), p. 190. 35. Macksey, Kesselrinp, p. 128. 36. Martin Blumenson, Sicily: Whose Victory? (New York: Ballantine Books, 1968), p. 42. 37. Macksey, Kesselring, p. 162. 40. Macksey, Kesselring, p. 195. 43. Siegfried Westphal, The German Army in the West (London Cassell and Co. Ltd., 1951),"p. 141. 44. Macksey, Kesselring, p. 165. 45. Blumenson, pp. 50, 62. 49. Macksey, Kesselring, p. 198. 52. Heinrich von Vietinghoff, "Chapter VI" The Campaign in Italy T-la (U. S. Historical Division, December 1947), p. 5. 54. B, H. Liddel Hart, The Rommel Papers (New York: Harcourt, Brace and World, Inc., 1953), p. 430. 55, Macksey, Kesselring, p. 164. 56. Liddel Hart, p. 446. 57. Vietinghoff, p. l. 58., Macksey, Kesselring, p. 174. 61. Ibid. , p. 178. 66. Macksey, Kesselring, p. 30. The purpose of this chapter is to provide a description of Kesselring's decisions relating to the German defensive actions at Anzio. The events will begin with a discussion of the situation at the end of December 1943 from the German perspective. The information provided in this chapter will serve as the foundation for the analysis of Kesselring's key decisions in Chapter Four. The successful Tenth Army defensive operation at Salerno and the withdrawal to establish a broad front between the Tyrrhenian and Adriatic Seas had proved that, contrary to expectations (of Hitler) German troops were capable of putting up effective resistance in southern and central Italy, areas generally favoring defense, against greatly superior Allied armies. C-in-C South (Kesselring) therefore suggested to OKW that the plan to make a fighting withdrawal to the northern Apennines should be discarded and that suitable positions further south should be consolidated and effectively defended. Because of his success, Kesselring's point was well taken by Hitler, and on 21 November 1943, Kesselring was appointed Commander in Chief, Southwest and Commander, Army Group C. Thus ended the debate between Kesselring and Rommel, setting the stage for the stubborn German defense south of Rome and the eventual Allied amphibious operation at Anzio. The defensive system toward which Vietinghoff was slowly moving was chosen with careful consideration. Originally, Hitler envisioned the Tenth Army standing south of Rome only temporarily, then moving on to northern Italy. Kesselring hoped to win his point with Hitler and ordered the preparation of a defensive system south of Rome as early as September 1943. Vietinghoff placed his engineer, Major General Hans Bessel, in charge of the preparations. At that time Kesselring also ordered Vietinghoff to prepare his delay time table to insure that the Tenth Army did not arrive at the defensive positions earlier than 1 November in order to allow time to complete the first major line in the system, the "B" position, later known as the Bernhardt Line.
. . . local reverses would not effect the entire front. 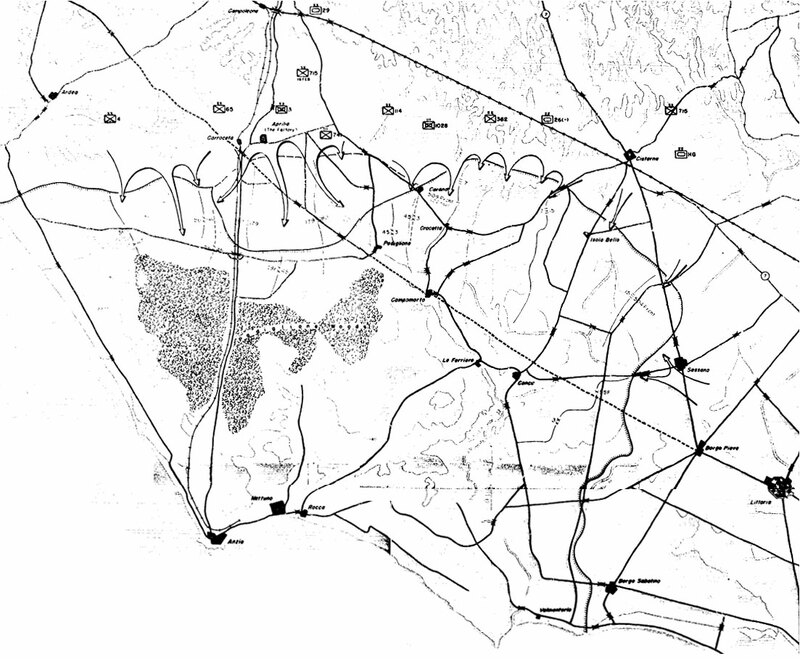 The system consisted of a belt of positions arranged in honeycomb order with two main lines meeting in the center and numerous intermediate flank-group positions. This system consisted of three belts in the west. The first was the Barbara Line, which was a rather ill defined outpost position located in front (to the southeast) of the other two lines. The second was the first main defensive belt, the Bernhardt Line, which began at the mouth of the Garigliano River, ran east to the mountain system of Monte Camino-Monte La Difensa-Monte Maggiore and Monte Sammucro. The last and strongest line was the Gustav Line (also identified as "C" position) which began at the same point as the Bernhardt Line at the mouth of the Garigliano on the Tyrrhenian Coast, and utilized the natural defenses of the Garigliano and Rapido Rivers and the heights of Monte Cassino. The Gustav Line ran northeast toward the Adriatic Coast across the Matese Mountain Range and along the general trace of the Sangro River where the LXXVI Panzer Corps was preparing its defenses. Kesselring intended to defend in the first two positions as long as possible, but to stop the Allies on the Gustav Line. The Fourteenth Army had a total of 8.5 divisions in northern Italy. At the beginning of January, Kesselring was also attempting to establish an Army Group reserve in Rome of three divisions. The German commanders faced a number of problems in defending these positions. Their troops were not used to preparing defenses or operating in mountainous terrain. Initially, there were no reserves of any consequence available, so commanders had to carefully conserve their forces. Winter equipment was initially hard to acquire, because it was difficult to convince the OKW bureaucracy that it actually got very cold in Italy. Evacuation of the wounded was difficult over the steep mountain trails. Most of these problems were eventually dealt with, but the most pressing was the toughest — that of reserves. Tenth Army headquarters often had to draw upon committed units to form reserves as the need arose in a threatened sector, thus endangering other parts of the line. Risks continually had to be taken to prevent an overwhelming Allied breakthrough in any portion of the defensive position. Kesselring clearly recognized the danger and sought to deal with it. Kesselring developed an estimate of the situation at the beginning of 1944 which indicated the most likely Allied option was an attack to break through the Gustav Line in an attempt to reach Rome while landing forces behind German defensive positions. Rome was the logical objective for such an operation, because it would serve to free a politically important city, sever Vietinghoff's lines of communications and make his position along the Gustav Line untenable. In November 1943, once it became clear that Hitler intended to vest Kesselring with the overall command in Italy, Kesselring began serious consideration of the method of defense of the German positions. He decided to place infantry and mountain troops in forward positions and retain the more mobile units in reserve to counter thrusts and react to amphibious landings, though this arrangement at times proved impossible because of limited resources. He intended to rotate units in line as necessary to keep fresh units available, while reconstituting those coming off the line as they doubled as a reserve asset. Situations developed, consequently, which led to designated reserves being reconstituted in the rear, but having a portion of their subordinate commands still engaged due to difficulty in disengaging . Additionally, reserves were not always of the fighting ability or mobility desired. The critical reserve situation in Italy was recognized from the lowest unit commander to OKW, with certain actions taking place at each level. OKW recognized the possibility of the Allies attempting to flank Vietinghoff's position with an amphibious landing, so they designated units available to Kesselring under two contingency plans, one for a landing on the west coast of Italy code named MARDER I and one on the east coast designated MARDER II. The force allocation was identical for each plan and consisted of a corps headquarters, two divisions, two infantry regiments, and a number of support units from France, Germany and the Balkans. code named RICHARD, eventually was activated during the Allied landing at Anzio. Though Rome was an area of concern for one of his contingencies, Kesselring felt that further actions should he taken.
. . . Field Marshal Kesselring, in his own persistent manner, constantly referred to the long established, fundamental principle that a commander without reserves is unable to exert any influence over the course of a battle. In demanding that his commanders retain reserves, he sought to establish an Army Group reserve as well, and to place the reserve where it could respond to either an amphibious landing near Rome or a breakthrough in the Gustav Line. The 1 Parachute Corps headquarters was placed in Rome to act as a counterattack headquarters. Under this corps, the 4th Parachute Division was being reorganized, and in early January, elements of the 3d Panzer Grenadier and the 29th Pander Grenadier Divisions were being reorganized near Rome under the control of the corps as well. Not only were these units available to the I Parachute Corps in case of a landing, but under Case RICHARD, one or two unspecified infantry divisions, two or three unspecified panzer grenadier divisions and one unspecified panzer division would be provided from both the Tenth and Fourteenth Army. According to the time table of Case RICHARD, the number of additional units able to respond to a landing in the area of Rome was to be from five to eight divisions within 24 hours, three of which were immediately available. Later in January, the 3d Panzer Grenadier Division was exchanged for the LAXVI Panzer Corps reserve, the stronger 90th Panzer Grenadier Division. Though the Army Group C reserve situation was certainly not comfortable, considerable efforts were made to plan for possible Allied actions, particularly a landing in the area of Rome. Kesselring obviously took the threat seriously, as did OKW and designated forces for various defensive actions to counter Allied options. After the conclusion of the Winter campaign, which was carried out by the Allies in the form of individual operations with often shifting thrust centers, the German Command had to reckon at the beginning of Spring, i.e. about the middle of February with larger scale unified operations of the Allies. On the central front the sector south of Cassino seemed to be especially exposed because a drive toward Rome could be carried out by concentrated armor only by making a thrust into the Liri Valley. At the same time the advancing season increased the danger of a new Allied landing operation, especially as the battles for the possession of the forefield of the Gustav Line had demonstrated the difficulties of carrying out frontal attacks against the German defensive system. In laying plans for future actions, it (OKW) had to consider that the Allied Command would try to achieve the collapse of the German defense by shifting the strongpoint of the attack or by Landing in the hinterland behind the German lines. Based on this estimation of the situation, and on the knowledge of the Allied objectives,(Rome) the German High Command realized the necessity to form a center of resistance in the southern sector of the defensive front and to reinforce the coastal stretches in the rear area sufficiently. In regard to these estimates, Kesselring additionally believed that Allied operations along the Gustav Line to drive up the Liri valley would be tied to a landing around Rome. the availability of reserve forces to meet the possible invasion. The other important aspect of these estimates is that both pointed toward expected Allied actions in the spring, which was defined by Army Group C as about the middle of February. Based on this estimate, Kesselring developed a timetable to prepare for anticipated attacks along the Gustav Line and an invasion along the coast. Consequently, when the action came for both areas in January, his plans were not yet completely executed. The exchange of the 3d Panzer Grenadier for the 90th Panzer Grenadier, for example, was only partially completed when the Allies began their actions on the Gustav Line. The fresh appearances of aircraft carriers in (the) Mediterranean . . . suggested that (the) Allies intended to use naval forces in Italy ... in areas which (has) inadequate land-based fighter protection. Wilson (the Allied Commander in Chief in the Mediterranean who took over from Eisenhower on 8 January 1944) was pushing ahead with intended landing operations on both coasts of Italy . . . with all available forces in the Mediterranean . . . Expected date approximately 15 January. (Time of message was 1440Z, 10 January 1944). Though this information was available to Kesselring, his plan for the reorganization of defenses in Italy was already on the mid-February timetable. The attack came too soon. As it became clear to General Eisenhower, the Allied commander in the Mediterranean prior to 8 January 1944, that the Germans were going to make a stand south of Rome, and as he learned that landing craft would be available to him until 15 December 1943, he directed General Alexander, commander of the 15th Army Group, who controlled Allied ground forces in Italy, to prepare for a landing operation in the vicinity of Rome. This directive was issued on 8 November 1943. The same day, Alexander ordered Clark's Fifth Army to prepare for a landing operation at Anzio. General Eisenhower realized that no operation could be put together before the loss of the landing craft on 15 December, so he also requested an extension for their use. Anzio appeared to be the logical choice for an invasion. Located about thirty-five miles south of Rome, the beaches and docks were ideally suited for support of an amphibious landing. A low coastal plain led inland to the Alban hills, controlling terrain for an advance to Rome from the south. Good roads led inland, and the terrain appeared to support maneuver. An advance from the beach to the Alban hills would facilitate an Allied drive up the Liri valley from the south to take Rome. of southern France, a plan pushed by Stalin. In December, the deadline for a decision on the release of the landing craft in January quickly approached. Based on these factors, on 18 December, Clark recommended to Alexander that operation SHINGLE, the code name for Anzio, be cancelled. Alexander agreed. SHINGLE was revived because of two things. First, in support of the preparation for the Allied invasion of Western Europe, command changes were made in order to assemble the command element for the cross channel invasion force in England. The most important result of the shift in command structure was the assumption of responsibility for Allied operations in the Mediterranean by the British, while the Americans turned their attention to operations in western Europe. An example of the shift was the change from Eisenhower to the British General Wilson as the Supreme Allied Commander, Mediterranean. The second was the illness of Prime Minister Churchill. He became ill when visiting Eisenhower's headquarters in Tunis in December 1943. During the time he was forced to remain in bed in Tunis, he became concerned about the lack of movement in the Italian theater, and began to push for more aggressive action to take Rome. With his new power in the Italian theater because of the change of the command structure, Churchill pressed for an operation to free Rome. The logical operation to facilitate that action was SHINGLE. At this point, the two major problems with SHINGLE, already pinpointed by Clark and Alexander — the distance of the operation from Allied positions further south and the coming loss of the landing craft, continued to plague planning as the number of landing craft available for planning and the date of their expected departure changed through the planning process. Yet, Churchill was intent on going ahead with the operation. The final decision for Anzio was made on 8 January 1944 at Marrakech by a meeting of the key Allied commanders in the Mediterranean and Mr. Churchill. The Prime Minister succeeded in obtaining sufficient landing craft to support SHINGLE in putting ashore and sustaining two divisions. Though the operation would be undertaken while the Fifth Army remained out of supporting distance to the southeast, the purpose of SHINGLE was to speed the Fifth Army advance to Rome and the Roman airfields while turning the German right flank. At the beginning of January, Vietinghoff still had forces south of the river line of the Rapido and Garigliano, in front of the main defenses of the Gustav Line. In order to make the Anzio landing and a drive to Rome realistic, the Fifth Army Commander, General Clark, was faced with reducing the German positions still south of this line and breaking through the Gustav Line at the entrance of the Liri valley, which offered a natural avenue of approach to both link up with the landing forces at Anzio and to drive to Rome. In order to get his forces into position to penetrate the Gustav defenses, Clark ordered the British X Corps on the Fifth Army left flank to take Credo Hill, south of the Garigliano, then cross the river to capture the southern approaches to the Liri valley. The French Expeditionary Corps had just replaced the VI US Corps, who would make the landing at Anzio. The French responsibility on the Fifth Army right flank was to cross the Rapido and sieze the northern approaches to the Liri. II US Corps was to make the main attack in the center down the Liri valley. After fighting their way to the Rapido along Highway 6, II Corps would cross the Rapido and use the l3t Armor Division to drive first to Frosinone, then to Rome up the Liri valley, while the X Corps and the French held the flanks. This plan was implemented on 3 January as II Corps began to push toward the Rapido. They met determined and skilled opposition along their route of advance, as Vietingboff directed units south of the river to fight phased delaying actions in order to inflict maximum damage while preserving forces to conduct the main effort in the Gustav Line. At this point, Clark changed his plan somewhat. He intended to both break through the Gustav Line, yet desired to attract Kesselring's reserves from Rome to the area to help facilitate the landing at Anzio. The sequence of attack was changed to a four phase operation. The French would first seize the high ground north and northwest of Cassino on 12 January. On 15 January, II Corps was to attack to take the last high ground south of the Rapido. Then X Corps would begin crossing the Garigliano to seize the high ground controlling the Liri valley from the south. Finally, on 20 January, II Corps would cross the Rapido to establish a bridgehead around Sant'Angelo, then use their armor to drive up the Liri to link up with the forces at Anzio. The operation started on 12 January with the French advancing four miles by 15 January. They were stopped, however, in front of the main positions of the Gustav Line. II Corps opened their attack on 16 January. Because the Germans had already withdrawn to the main positions,, the Corps faced the river line in three hours. The X Corps began their operation on 17 January, and achieved tactical surprise in spite of heavily bombing the German positions. The British managed to cross and establish bridgeheads across the Garigliano, and then expand to seize their assigned objectives. II Corps followed with their attack on 20 January to force a crossing of the Rapido and enter the Liri valley. Vietinghoff did not see the French attack as a major threat, and the II Corps effort was expected. On 15 January, the Tenth Army received information that the British X Corps would attempt to force a crossing of the Garigliano, into the defensive positions of the 94th Infantry Division. The 94th Division was rather spread out in their positions, thus both Vietinghoff and the XIV Panzer Corps commander, von Senger, were concerned about the effects of a major effort to turn their right flank. When the British attack began on the night of 17-18 January, von Senger knew immediately that he was in trouble. As the extent of the British penetrations became evident, he realized that the two weak regiments of the 94th Division would be unable to hold their positions. He attempted reinforcement by shifting part of the Corvin Battle Group of the Herman Goering Division. As the battle in the 94th area developed, 15th Panzer Grenadier Division reported concentrations of forces in their area as well, which was the II Corps preparation. Vietinghoff and von Senger both carefully considered the possibility that the X Corps attack was the main effort. Early the morning of 18 January, von Senger realized that perhaps it did not make any difference if the X Corps was making the main effort or not, their advance could threaten the security of the entire Gustav Line if they were allowed to penetrate to take the southern approaches to the Liri valley. Von Senger called Kesselring from the 94th Division headquarters, requesting immediate commitment of the reserve in Rome. Kesselring called Vietinghoff for his opinion. Although bypassed in the request, Vietinghoff confirmed von Senger's opinion that the British attack was serious and could not be stopped by the limited Tenth Army reserves. At the present time there is not the slightest sign that a new landing will be undertaken in the immediate future. The number of ships in Naples harbour may be regarded as quite normal. I consider a large-scale landing operation as being out of the question for the next four to six weeks. In addition to considering the likelihood of an Allied landing near Rome, Kesselring had to consider the validity of the claim that the Gustav Line was irreparably threatened. In this, Kesselring trusted his commanders, for he knew very well the danger of the Allies gaining control of the Liri valley, especially since the Allied action took place in the middle of the Army Group C reorganization. Kesselring meant to defend on the Gustav Line, not to withdraw in the immediate future. In this, he had a last piece of information to consider — Hitler's directive was to hold ground whenever possible. breakthrough, not to come before it was complete. He saw a very dangerous attack now developing, while the expected landing was a future consideration, and in the final analysis considered the relative importance of stopping the immediate attack and dealing with the invasion if it came, hopefully, after the two reserve divisions were returned to Rome. At 0900, 18 January, Kesselring decided to commit the two reserve divisions to defeat the Allied penetration. Not only did he send the 90th and 29th Panzer Grenadier Divisions, but the I Parachute Corps headquarters as well, leaving in reserve only two battalions to patrol the beaches to the north and south of Rome and the 4th Parachute Division still being organized. Units concentrated without a hitch because of excellent preparatory work. It even included placement of direction signs and clearing mountain passes of ice before units coming in arrived. Refueling was conducted in route without interrupting the tempo of movement. When placing General Schlemmer (not to be confused with General Sjhlemm) and his I Parachute Corps headquarters in charge of the operation, Kesselring told him to push battalions into the line as quickly as possible irrespective of the type of unit. Unbelievably, the Allies did not pursue the opportunity to cut the Tenth Army's lines of communications or to move toward Rome, but seemed content to build up the beachhead from behind a defensive screen. By afternoon on 22 January, Kesselring felt confident that disaster had been avoided, and that he could concentrate enough forces to take decisive action. Yet, his containment line was rather unique. According to Kesselring, it was a ". . . higgedly-piggly jumble — units of numerous divisions fighting confusedly side by side. . ." By afternoon of the 23d, an Allied drive to cut the Tenth Army off from Rome would be impossible. The danger was over. According to his biographer, "Experience and luck had been his salvation indeed." By 24 January, Kesselring realized that the I Parachute Corps would be unable to c .ltrol all of the formations beginning to pour into the area around the beachhead, so he ordered Colonel General Eberhard von Mackensen, commander of the Fourteenth Army in northern Italy, to bring his headquarters south to take control of the battle. The relationship between Mackensen and Kesselring was cool, marked by disagreements and a certain amount of distrust manifested in post-war accounts by Mackensen. Upon his arrival in the area, Mackensen found major elements represented under three division headquarters. The Herman Goering Division controlled units in the eastern area of the perimeter known as Clsterna (see Appendix C). The 3d Panzer Grenadier Division defended in the center of the line and the 65th Division occupied positions along the Moletta River in the west. Kesselring realized that the pressure on the Tenth Army forced him to counterattack quickly, so he instructed Macksensen to prepare for offensive operations to destroy the forces in the beachhead as soon as possible, so forces could be released to return to the Tenth Army. Mackensen accordingly began to prepare for an attack along the Albano-Anzio road leading into the beachhead from the north. This attack, originally scheduled for 1 February, was moved to 2 February because of concern about another possible Allied landing at Civitavecchia, north of Rome. The plan was prepared for signal to OKW on 28 January, but not sent until 3 February,  In the race to prepare for the first major offensive action on both sides, however, Lucas beat Mackensen. From inside the beachhead area, Lucas saw hi' mission as to first establish the beachhead firmly and develop an effective logistical base for future operations. Next, he was to expand the beachhead in order to reach out to the Alban hills to help open the way to Rome. Lucas hesitated to expand quickly upon landing, allowing Kesselring's quick reaction to the Allied incursion to reduce the possibility of a catastrophe through the passage of time. Lucas did not press the attack because he was concerned about the safety of the VI Corps, because he had an inherent mistrust for the operation, and because he felt his orders from General Clark allowed him the latitude to take his time. Through ULTRA, Clark knew that no German reserves were available . Lucas was not aware of the information and had no apparent idea about the absence of Kesselring's strategic reserves. Later, the clarity of Alexander's mission statement to Lucas via Clark was to be questioned — a question concerning the rapidity of Lucas' advance from the initial beachhead and his priority of tasks. Lucas' eventual decision to attack upset the timing of Mackensen's plans. Lucas intended to send the 1st British Division toward Albano, followed by the 1st US Armor Division in exploitation, to open the way for the Fifth Army to drive up the Liri valley and to make Vietinghoff's position untenable. An intermediate objective for the British would be a part of the Rome-Cisterna railway, to be captured on 29 January. The 3d US Division, 509th Parachute Infantry and the Rangers were to take Cisterna in order to cut Highway 7 and be prepared to attack to sieze Valmontone on order. The 1st British Division successfully captured Campoleone during the offensive which began the night of 29-30 January, but the 1st US Armor Division found the terrain impossible to support their attempts to exploit the British gain. On the other side of the beachhead, the Rangers, attacking early on 30 January, were destroyed by the Herman Goering Division and elements of the 715th Division which had arrived that day. Lucas' attack ground to a halt on 1 February, Mackensen's original attack date. Ironically, it was on this day that General Clark, meeting with General Alexander in the aftermath of the VI Corps defeat, proposed a landing at Civitavecchia in order to cut Kesselring’s forces further north. Alexander felt the proposal too risky and discarded the idea. The result of this commanders' conference was to order Lucas to establish defensive positions. From Mackensen's perspective, the Allied attack was halted, but not without cost. Preparing for an attack, Mackensen and Kesselring had to quickly juggle forces both around the beachhead and within Army Group C to stem the tide of Lucas' effort, actions at which they were successful except for the deep British salient into the German lines at Campoleone. This area was to be the staging site for Mackensen's attack on 2 February, but would now have to be retaken if that approach were to be used. Additionally, Kesselring felt that an effective German attack coupled with the psychological strain of being left exposed in the beachhead would serve to defeat the Allies. He also felt that he would have to free forces as quickly as possible in case of a landing at Civitavecchia. Of course, freeing forces to return to the Tenth Army was also important. In contrast, Mackensen felt strongly that the Fourteenth Army should be entirely prepared for the attack. His reasoning was that the counterattack must be properly done the first time, for the German command did not have enough strength for a second try. Although Kesselring does not mention this difference of opinion in any of his post-war writings, Mauser, Mackensen’s chief of statf does. Further, apparently the disagreement between the two generals was so great that Mackensen offered his resignation, not once, but twice at the beginning of February, the time during which the counterattack plan was under discussion. Mackensen had little faith in the outcome of the plan, in direct contrast to Kesselring's very optomistic opinion of the Fourteenth Army's prospects. Ironically, Mackensen faced a commander, Lucas, who had little faith in the plan which he was called to fulfill. Kesselring refused to allow Mackensen to resign and apparently gave way to his insistence that the counterattack be a carefully prepared operation. As he did at Salerno, Kesselring allowed the local commander the latitude to develop the operation. Mackensen began limited attacks on the night of 3-4 February to eliminate the British salient- Although the German attack was stopped, Lucas decided that the British 1st Division position, extending well into the German lines, was untenable and ordered their withdrawal. On 4 February, Kesselring ordered the LXXVI Panzer Corps headquarters to move from the Tenth Army to take control of units in the center and eastern sector of the bridgehead. Until this action took place, the Fourteenth Army controlled only I Parachute Corps, which was attempting to control the entire front. The LXXVI Panzer Corps took control of their area at 1200, 4 February 1944. Hitler was intensely interested in the success of a German counterattack at Anzio, and required that the plan be approved by him. Hitler needed a victory badly, especially after the reverses on the eastern front. Further, he was convinced that a defeat at Anzio would cause the Allies to delay or postpone an invasion of western Europe. Consequently, Mackensen reported to Hitler at his headquarters in East Prussia on 5 February to present the Fourteenth Army plan for approval. Hitler agreed with the direction of attack, but stipulated three restrictions for the conduct of the attack. He required that the sector of advance be reduced in width in order to mass the combat forces. This requirement came directly from his first world war experience, along with the second requirement, which was the use of a rolling barrage to lead the attack. The last requirement, the use of the Infantry Lehr Regiment, a demonstration unit used to show how to conduct infantry attacks to new soldiers but was untested in combat, was based on Hitler's opinion of the quality of the unit. Mackensen and Kesselring had to face these restrictions and decide what to do about them. The requirement to use a rolling artillery barrage self-destructed due to a lack of ammunition. Neither Kesselring or Mackensen objected to the use of the Infantry Lehr Regiment to lead the attack, apparently accepting OKW's evaluation of their effectiveness at face value. Kesselring did oppose the imposition of a narrow front attack of only six kilometers and stated that opposition to OKW. In his writings, Kesselring does not identify the reason for this opposition nor the argument used. Mackensen provides a clue to the Fourteenth Army and Army Group C's objections, however. Apparently, the German commanders in Italy were concerned that the troops would be massed in too small an area thus providing a lucrative target for Allied artillery and air, both of which were vastly superior to German assets. Additionally, Mackensen was concerned that an attack on a narrow front would fail to force Lucas to commit his reserves. He was concerned about a lack of flexibility to exploit an unexpected success. Kesselring's objections were not considered by Hitler, and the restrictions stood as dictated. On the same day that Mackensen met with Hitler, the Herman Goering Panzer Division and the 26th Panzer Division attacked to straighten the line in the Cisterna area and gain advantageous terrain for the coming major offensive. The last limited objective attack was conducted, beginning 8 February and ending on 10 February by the 65th Division in order to seize Aprillia and Carrecoto. With the success of this action, the stage was set to drive the Allies into the sea. The initial attack order was issued on 9 February, stating that the date for the counterattack would be 16 February. The LXXVI Panzer Corps was to make the main effort with the 3d Panzer Grenadier Division, Infantry Lehr (741 Infantry Regiment), 114th Rifle Division and 715th Infantry Division in the first wave. The second wave included the 29th Panzer Grenadier Division and the 26th Panzer Division. The Fourteenth Army attack began at 0630 on 16 February. The Herman Goering Panzer Division and the 4th Parachute Division conducted feint attacks, in order to obscure the main effort. The VI Corps units were not deceived, however, for they were aware of the German preparations and possible area of main effort. The main attack fell on units of the 45th US Division along the Albano-Anzio road, making early gains. The Germans, however, were stopped by the commitment of the local reserves and the effective Allied artillery fire. Depending on artillery and tanks, the Germans were almost immediately stripped of the effectiveness of the latter due to a thaw which turned the ground into a quagmire and restricted the tanks to roads. Artillery expenditure averages indicated that the VI Corps fired about 25,000 rounds per day as opposed to 1500 rounds per day which the Fourteenth Army fired. In addition to the vast differences of available ammunition, a problem developed in the expenditure of the allocation during the main attack, a problem first aggravated, then rectified by Kesselring. Upon arriving in the beachhead area, Mackensen had directed that all artillery be controlled directly by Army headquarters. This order insured effective control of the limited artillery assets, as well as creating order out of chaos resulting from the first critical days of the German concentration. Termed "Feuerleit-Batterie”, the concept of centralized control proved very effective in directing artillery fire. For the main attack, Fourteenth Army had on hand ten days allocation. An old artilleryman, Kesselring became concerned on the 16th during a visit to the battlefield about the seemingly low rate of fire. After pushing General Jahn, the artillery commander for an explanation, Kesselring was given erroneous information about ammunition consumption rates. Ammunition expenditure reports the next day revealed that only 40% of one day's allocation had been expended, due first to a failure to move the ammunition from the supply dumps and second, to a conservation order issued by General Jahn after Kesselring’s visit. The situation was rectified belatedly on 17 February. Leading the attack, the Infantry Lehr (741st Infantry) Regiment quickly lost cohesion, broke down under fire and ran, an action which did not exactly lift German morale. Though the attack did make some advances, Lucas was not forced to commit his reserve division. The commitment of the VI Corps reserves was one of Mackensen's objectives the first day. When it became clear to Mackensen and Kesselring that their attack would fail to drive through the 45th Division defenses and cause Lucas to commit his reserves, the 1st Armor Division, Kesselring strongly suggested that Mackensen commit the second wave to drive through the enemy positions. Mackensen declined and began to plan for the next day's activities. Forced into a narrow sector by design, denied tank support and effective artillery fire, facing significant enemy artillery and naval gunfire and air attacks, Mackensen's attack ground to a halt. The defenders refused to break. The line was dangerously stretched and the defenses were close to disintegration, but a great expenditure of artillery, tank, tank destroyer, and mortar ammunition helped the infantry to hold. At the end of the day, General Lucas' final beachhead line was still unbroken. As of yet, Mackensen's second wave forces, being held for exploitation, were still uncommitted. Accordingly, he prepared for a third day of battle by using the exhausted first wave units to continue to attack through the night, and attempt a penetration with the 29th Panzer Grenadier and the 26th Panzer Division at 0400 the next morning. 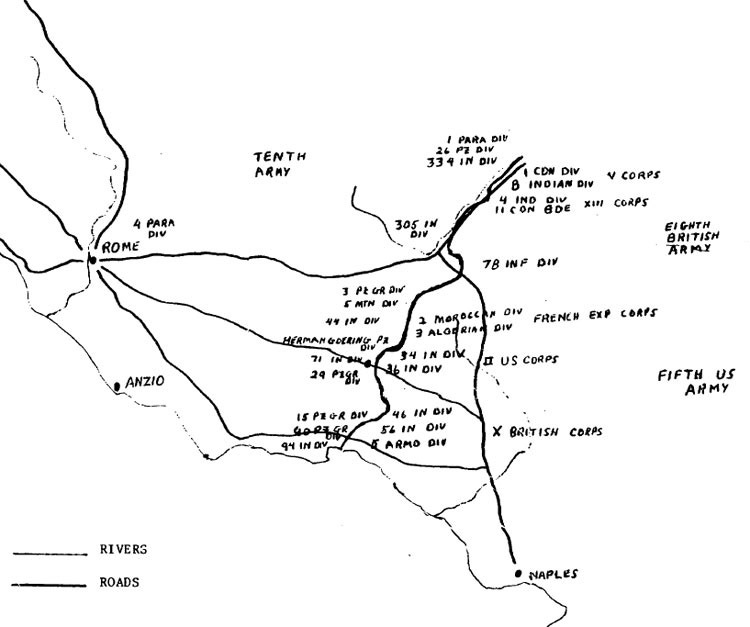 Making initial penetrations, these two units were also fought to a standstill on 18 February by the 179th Infantry Regiment at the final beachhead line. By the evening of 18 February, Mackensen and Kesselring were forced to conclude that further efforts were fruitless. The attack was called off, though small attacks continued on 19 February. VI Corps counterattacks increased in intensity and soon, the German salient became a "deathtrap for his own (Mackensen's) tanks and infantry." Though another major attack to reduce the beachhead was ordered by Hitler and executed later in the month, Kesselring and Westphal were convinced that the decisive moment of success had been lost. In reviewing the reasons for the failure of the 16 February counterattack, Hauser pointed out these reasons: The attack force was concentrated in a small area, as ordered by Hitler, without the corresponding support required for the attack, and making German forces a lucrative target for Allied air and artillery. Secondly, the German armor could not deploy off roads due to the condition of the fields. Thirdly, high German losses under Allied artillery seriously affected morale. One example was the reaction of the Infantry Lehr when they first came under artillery fire. Finally, Germans found that enemy resistance was very tough. Kesselring failed in his counterattack attempt at Anzio, but the effort helped to create a strategic stalemate which was actually a victory for the Germans. From February to May, Kesselring managed to contain the Allies on both the Gustav Line and at the Anzio beachhead. Kesselring had predicted to Hitler, during the earlier debate with Rommel, that he could hold the Allies south of Rome through the winter. His efforts effectively held the Allies well into the spring. Critical decisions made in January and February in relation to the Allied landing helped to create the successful containment in both areas, decisions which will be evaluated in the next chapter. 1. Martin Blumenson, Salerno to Cassino (Washington D. C. : Office of the Chief of Military History, 1969), p. 208. 2. Heinrich von Vietinghoff gennant Scheel, "Chapter VI" The Campaign in Italy T-la ('J. S. Historical Division, December 1947), p. 5. 4. German Version of the History of the Italian Campaign" (U. S. Historical Division), p. 38. 6. "German Version of the History of the Italian Campaign," p. 43. 8. "Air Force Participation in Shingle" (U. S. Historical division, MS 11614). Annex A. 10. "German Version," p. 58. 12. "German Version," p. 63. 13. Magna E. Bauer, "Shifting of German Units Before and Dur ing Nettuno Landing and Effects of American Rapido River attack of 21 January 1944 on the Movement of German Reserves" (U. S. Historical Division, 1956), p. 2. 14. Siegfried Westphal, "Chapter 13" The Campaign in Italy T-la (U. S. Historical Division, December 1947), p. 30. 15. "German Version of the History of the Italian Campaign,"
18. Albert Kesselring, A Soldier's Story (New York: William Morrow and Co,, 1963), p. 231. 20. ULTRA Document VL 3540 MA LM DB CO AL 081000Z/1/44. 24. William L. Allen, Anzio: Edge of Disaster (New York: Elsevier-Dutton, 1978), p. 25. 32. ULTRA Document VL 4492 MP LM BI SB GW KQ CO AL 221403Z/1/44. 34. Kurt Maelzer, "The Problem of Rome During the Fighting Near Anzio Nettuno until the Evacuation of Rome on 4 June 1944" (U. S. Historical Division, MS D314), p. 5. 37. Kenneth Macksey, Kesselring: The Making of the Luftwaffe (New York: David McKay Company Inc., 1978), p. 198. 38. Eberhard von Mackensen, "Supplement to Chapter 12" The German Campaign in Italy T-la (U. S. Historical Division, December 1947), p. 28. 40. ULTRA Document VL 5449 031421Z/2/44. 41. ULTRA Document VLA 4464 LM SB GQA ZU KQ CO 221059Z/1/44. 44. Wolf Hauser, "Chapter 12" The German Campaign in Italy T-la (U. S. Historical Division, December 1947), p. 9. The purpose of this chapter is to evaluate Field Marshal Albert Kesselring's key decisions in the battle of Anzio. Specifically, I intend to review his decision to commit the Army Group C reserves to the Gustav Line on 18 January 1944 and the development and execution of the 16 February counterattack plan against the Anzio beachhead. The reason for evaluating his commitment of the reserve units to the Gustav Line is that he has been greatly criticized for that action, by both friend and enemy. This evaluation will attempt to bring together the information available to him, review the tactical and operational situation, and attempt to understand that decision from Kesselring's perspective at that time and place. This evaluation is not presented with the intent of supporting or denying any criticism of Kesselring's actions. The second decision under evaluation, the development and execution of the counterattack plan, will not only attempt to discuss the reasons for the plan's failure, but to look at Kesselring's role in its development and execution to gain a better perspective of his approach to important tactical actions in the defense of Italy. This action will not be compared to other tactical situations, but will be discussed only in its own context. It is impossible, therefore, to generalize Kesselring's actions from Anzio to other actions in Italy, but this evaluation can be used as a basis for future comparisons. The method used in this chapter is to pose a series of research questions for each of the decisions. The questions will be presented at the beginning of each section, then answered one at a time with a general discussion of the answer. Information used to answer questions will be '.rp.wn fron the parallel narrative discussion in Chapter Three. A summary of each major area will then follow the specific answers with a view toward answering the original research questions posed in Chapter One. 1. What information did Kesselring have concerning a possible amphibious operation between Rome and the Gustav Line? 2. Why did the Army Group estimate of the situation at the beginning of January predict the expected landing would occur in the middle of February? 3. Why did Kesselring commit the reserves to the Gustav Line? 4. Was the commitment of the reserves logical, based on the information available to Kesselring? "What information did Kesselring have concerning a possible Allied amphibious operation between Rome and the Gustav Line?" Two sets of data can be used to answer this question. The first, and most obvious, is the information that Army Group C had at hand concerning the Allied capability to conduct an amphibious assault. The second is more circumstantial and can be deduced from Kesselring's actions to prepare for the possibility for an invasion. Kesselring had no information concerning Clark's intentions, but drew his conclusions concerning the likelihood of an amphibious assault in the area of Rome from other sources. Any indications of a possible landing must take into consideration the Allied shipping capability in the Naples harbor. The harbor, available for use by early January, would be the logical port from which to stage a landing operation on the western coast of Italy. Kesselring knew that about 400,000 tons of shipping were available in the harbor through air reconnaissance. He also was aware that the harbor was fully operational and capable of supporting the staging of a major landing operation, which was confirmed by German intelligence. Additionally, through air reconnaissance, Kesselring knew that sufficient landing craft were available in the Mediterranian to support a large scale landing. The information concerning the feasibility of using Naples harbor weighed heavily upon the minds of Kesselring and Westphal as they considered the likelihood of an Allied attack. This concern is evident both in the constant attempt to detect the movement of landing craft, as demonstrated in ULTRA documents, and in their questioning of Admiral Canaris concerning the situation during his visit to Kesselring's headquarters. Two other items of information required consideration as well. An intercepted radio message transmitted in mid-January discussed the imminence of an Allied landing operation. German intelligence linked this message with the British attack across the Garigliano on the night of 17-18 January, consequently, the message was filed and forgotten. Earlier in January, a downed Allied pilot who found himself in German hands, indicated that a landing operation would take place on both sides of the peninsula on about 15 January. No German officers or written material now available discuss this pilot, so the credibility of his story in German eyes is difficult to evaluate. We have the information only from ULTRA documents. As stated earlier, the second set of information is not "factual," but circumstantial, in that it views not what Kesselring knew about an invasion, but what he felt and did about the possibility. The first and most obvious evidence of his concern about the possibility of an amphibious operation was the establishment of reserves at Rome. To support the availability of these reserves, and to prepare for a landing anywhere on the coast of Italy, Kesselring developed five contingency plans to meet the most likely Allied amphibious moves. These actions indicate the seriousness with which Kesselring dealt with the possibility of an amphibious landing, particularly in the area of Rome. He realized the military and political importance of the city, and once he had Hitler's approval for his defensive concept, was committed to maintaining a defensive line south of Rome as long as possible. An Allied landing to assist taking the city would of course destroy Kesselring's intentions concerning holding the Gustav Line, and would have to be dealt with as quickly and as effectively as possible — hence he established the strongest possible reserve force which he could afford around Rome. German intellegence estimates, both the German High Commands's and Army Group C's, pointed to the possibility of an Allied landing. Both estimates, however, predicted the landing at a later time than it actually came. Kesselring, basing his defensive reorganization plan to deal with a strong Allied offensive along the Gustav Line in conjunction with an amphibious operation, was caught in the middle of that reorganization, because he based his timetables on the accuracy of the estimates. Kesselring's personal estimate was that the landing and the offensive along the Gustav Line would most likely come at the same time, and that Clark would probably not initiate a landing until the offensive was successful in order to get his forces within supporting distance of the beachhead. ULTRA reports indicate a German preoccupation with the movement of Allied landing craft. The flavor of Kesselring's reports to OKW, which were intercepted in early and mid- January 1944, is one of urgency and constant vigilance of both the movement and location of landing craft, and of attempting to find evidence of Allied capability to support a major landing, not only in Italy, but in Greece as well. These reports, coupled with the information passed to OKW concerning the radio intercept and the downed Allied pilot, must certainly have caused some anxiety to those Allied leaders who were reading Kesselring's mail. He had ample warning that a landing was inevitable. "Why did the Army Group estimate of the situation at the beginning of January predict the expected landing would occur in the middle of February?" The significance of this question is that Kesselring planned a reorganization of the defensive structure in Italy based upon this prediction. Several units were scheduled for movement from one part of the theater to another in order to insure the best possible deployment along the Gustav Line and to retain a respectable Army Group reserve in Rome. That plan was only partially implemented when the first Allied attack along the Gustav Line took place on 12 January. After a significant amount of research, I have yet to find data which concretely supports Army Group C's estimate. The documents located in the bibliography of this paper fail to provide specific information. The only shread of evidence which may relate to this estimate comes from the visit of Admiral Canaris to Kesselring's headquarters. When asked by Kesselring and Westphal about the likelihood of an Allied landing, in light of the amount of shipping in the Naples harbor, Cantaris replied that the level of shipping in the harbor was normal. This answer: however, came much later than the intellegence estimate, so was not a factor in its preparation. It is possible, though, that he may have had some input into the preparation of the OKW estimate, which was published about the same time as Army Group C's estimate (late December or early January), thus influencing the prediction of the time of an Allied invasion indirectly. Certainly not a factor in the estimate was any knowledge of Allied plans. Kesselring, unaware of Allied problems with retaining the landing craft for the Anzio operation, would certainly have reflected an earlier landing date at the outset if he knew of the problem. January in the Rome south area is an unfavorable period for combined military operations. It is the mid-winter month. Temperature is lowest; cloudiness considerable; moisture content high; precipitation moderate; snow a possibility; and wind movement the greatest for the year. Following three exceedingly wet months, rivers and marshes reach their highest flood stage. January more than any other month requires extra shelter, fuel, and clothing for the efficient operation of troops. Such information, known only too well by the Germans, would seem to rule out any attempt at an amphibious landing along the Italian coast in January. "Why did Kesselring commit his reserves to the Gustav Line?" To truly answer this question, it is necessary to tap into Kesselring's thinking process at that moment in time. It is certainly impossible to do so now, or perhaps for Kesselring to even recount the process later. Evidence is available, however, concerning the factors which he considered at the time in making his decision, In his memoirs, Kesselring refelects on three specific considerations — the danger of a breakthrough by the X British Corps through the 94th Infantry Division areas the weakness of the Tenth Army reserves, and the words of Admiral Canaris who devalued the possibility of a landing by the Allies at that time. Other factors which Kesselring considered were the opinions of von Senger and Vietinghoff, who requested the commitment of the reserves. As already indicated, he considered the opinion of Canaris, and apparently Westphal agreed with Canaris' evaluation, and probably added his opinion about the probability of an invasion to the factors which Kesselring considered. Kesselring, personally, concluded that Clark would not commit to a landing until his main attack had moved within supporting distance of the beachhead. A containment of the Fifth Army action along the Gustav Line would, based on that logic, preclude an invasion. Added to this consideration must certainly have been Kesselring in his normal state of optimism about the capabilities of his forces and the ability of the enemy to do what was predictable. He felt that he would only have to commit the divisions to the Gustav Line, and would be able to move them back to Rome in time to meet any invasion. Three Levels of consideration are evident in Kesselring's decision. The first is the factual level he mentions in his memoirs, considerations concerning an Allied breakthrough, lack of reserves in Tenth Army and intelligence from Canaris. The second level is that of personal inputs from two of his commanders and his chief of staff. The final level is that of his personal considerations. He had his own opinions about what the Allies were likely to do, and with information from other sources, acted upon those opinions. In the final analysis, Kesselring saw a real attack developing. In the few hours it took for him to make the decision about the commitment of the I Parachute Corps, he most certainly must have weighed the reality of an attack forcing the right flank of the entire line against the possibility of a landing. If the reserves were not committed and the Gustav Line compromised, considerations about a landing would bf academic in that the Line would no longer be tenable. On the other hand, a defeat on the Gustav Line might preclude a landing entirely. Mixing these thoughts with Westphal's support of Vietinghoff and von Senger, Kesselring decided to commit the I Parachute Corps headquarters with the two divisions to the Gustav Line on the morning of 18 January 1944. "Was the commitment of the reserves logical, based on the information available to Kesselring?" As stated in the last section, Kesselring was faced with the very real possibility of seeing the Gustav Line outflanked, thus forcing him to withdraw to the north of Rome much earlier than intended. Following the war, Kesselring was greatly criticized for committing his reserves. Among those voicing criticism on the German side were Mackensen, Westphal (who did not think an attack likely), von Senger (who asked for the reserves to be committed) and Vietinghoff (who agreed with von Senger's assessment and backed his request for reserves). Kesselring himself is silent on the issue, but a note of wistfulness is evident as he discusses how he was "... relying too much on a report of Admiral Canaris. In retrospect, it is clear that the attack by the British X Corps was considered a serious threat to the German positions. Kesselring understood the implications of British possession of the high ground on the southern entrance to the Liri valley, and envisioned the II Corps attempt to break into the valley, thus felt that the immediate threat was much more dangerous than the possibility of a landing. When the reserves were committed, following Kesselring's decision on 18 January, they accomplished their mission, the Filth Army offensive along the Gustav Line was halted largely due to the addition of these two divisions. One can project what might have happened if they had not been committed. The British could have siezed the southern entrance to the Liri valley. Perhaps II Corps would have broken through the defenses in front of the Liri valley with this British assistance, driving toward Rome and destroying the cohesiveness of the Gustav Line. In this case, the reserves sitting in Rome could counter a landing, but the Allied objectives would have been taken. Even if the II Corps were not successful in breaking into the Li-i valley, the Gustav Line would have been flanked, allowing the Allies to move units through the gaps between the right flank and the Tyrrhenian Sea, thus forcing commitment of the reserves to the line. If a landing occurred under this circumstance, Kesselring's reserves would probably not be available to pull back to counter an Allied landing at Anzio. If either of these circumstances developed, the Gustav Line could have been flanked and needed to have been abandoned much earlier than Kesselring intended. As events actually developed, Kesselring was able to both stop the Fifth Army on the Gustav Line and contain and nearly destroy the beachhead with limited forces. Indeed, Clark's forces were contained in both locations well into the spring. In Chapter One, two research questions were asked: "Do the decisions made by Kesselring immediately prior to and during the battle of Anzio provide an indication of his ability as a commander?" and "If so, how did he make those decisions, and how effective were they in achieving his intended objectives?" I believe enough information is available concerning the commitment of the reserves to Rome to provide a partial, tentative evaluation of Kesselring as a commander. Measuring his ability as a commander against the answer to the second research question, that of achieving his intentions, he was successful. Kesselring charged with the responsibility of defending Italy, made decisions based on his intuition, information available to him, and that of his staff and commanders. Though there were incorrect assumptions built into his decision-making process, he was able to react quickly to the unexpected landing because of carefully prepared, and very feasible contingency plans. His reaction was swift and effective once the need for Case RICHARD became apparent. I believe that the evidence has shown, in this particular case, that Kesselring made logical command decisions based upon the information available, advice of those he trusted, and his own intuition, yet proved flexible enough to react effectively to the unexpected. Such a man is a dangerous enemy. 1. What role did Kesselring play in the development of the counterattack plan against the VI Corps beachhead? 2. To what extent did Kesselring attempt to persuade Hitler to modify his restrictions to the counterattack plan? 3. What action did Kesselring take during the battle to influence the flow of events? "What role did Kesselring play in the development of the counterattack plan against the VI Corps beachhead?" From the beginning of operations against the Allied beachhead, Kesselring realized that quick and decisive action would be necessary, consequently, his initial input into both the immediate and the deliberate counterattack plans was designed to move Mackensen to quick decisive action. In developing the deliberate counterattack, to be launched on 16 February, Mackensen felt that a carefully planned approach would be necessary because of the limited resources available in the theater. The difference of opinion between Kesselring and Mackensen apparently led to Mackensen's offer to resign on two occasions early in February. Kesselring declined the offer, and Mackensen continued with his preparations for a well planned, deliberate attack. Though Kesselring apparently declined to pursue the point at the expense of losing a commander, his intentions were well known. Early in the planning process, Kesselring and Mackensen discussed the various courses of action available in forming the direction of the attack. Both agreed that the Albano-Anzio road approach was best, which is identical to the course of action selected in the hasty attack developed by Mackensen prior to Lucas' attempt to push out of the beachhead. One of the major considerations for this avenue of approach, from Kesselring's perspective, was his desire not to expose the Fourteenth Army attack to Allied naval gunfire which would occur if either coastal approach were used. The importance of looking at these two, inputs into the Fourteenth Army planning process is to measure Kesselring's extent of providing positive direction to his subordinate commanders, in this case — Mackensen, balanced against the possibility of interference from a higher level. Within this context, Kesselring clearly made known his desire for a quick action. In addition to this attack, he was concerned both about conditions along the Gustav Line, and about the possibility of another Allied landing further up the coast, so he could not afford to view the Anzio front in isolation. Yet, with these considerations weighing heavily in the balance, he deferred to his subordinate commander in the timing of the attack, perhaps only because he threatened to resign, but he deferred nonetheless. As for Kesselring's input into the direction of attack, both commanders agreed, so we cannot know what action he might have taken to attempt to force Mackensen not to drive down the coast, or if he would have taken any action at all. Here, there is less ground for evaluation. Kesselring supported his subordinate in attempting to destroy the Allied beachhead by providing precious resources for the attack. In this action, more than any other, Kesselring demonstrated to Mackensen his commitment to the success of the Fourteenth Army efforts. In general, Kesselring provided the assets without interference, yet his interest in the outcome of the battle was obvious through the two major inputs he provided to Mackensen. The purpose of this question is twofold. First, it is important to evaluate Kesselring's short term persuasive powers as opposed to his success over greater periods of time. Secondly, it is important to measure how strongly Kesselring felt the restrictions would reduce the chance of success. Mackensen presented his plan to Hitler on 5 February for approval. As discussed in the last chapter, Hitler approved the plan with certain restrictions. He desired a very narrow front in order to mass Mackensen's limited combat power, he desired a rolling artillery barrage, and he desired for the Infantry Lehr to lead the attack. From Kesselring's perspective, not all of these restrictions seemed burdensome at the time. He did not object to the use of the Infantry Lehr Regiment. The rolling artillery barrage was impossible to organize due to limited ammunition. By the process of elimination, the only restriction left to discuss is the width of the attack. Kesselring and Mackensen both objected to the imposition of a narrow front because they felt that the superior Allied air and artillery would destroy their concentrated formations, and because they felt that they might not be successful in forcing Lucas to commit his reserves early. OKW was informed of these objections, but apparently the force of the argument was not successful in changing Hitler's mind. Kesselring's ability to get Hitler to change his mind in a short term situation appears to be ineffective. Over longer periods of time, such as the Rommel-Kesselring debate, the decision to invade Malta and much earlier in dealing with Goering over the organization of the Luftwaffe General Staff, Kesselring's persuasive powers were considerable. However, short term decisions are consistently different. He lost the Malta operation through a short term decision of Hitler's, he pulled forces out of Sicily without notifying OKW, perhaps in order to avoid a direct confrontation, and he lost in his attempt to modify the counterattack plan at Anzio. Though the differences between his success at long and short term political confrontation may be due, in a large part, to his approach to politics, the situation may be identified with the whole political process of the Third Reich as well. In the final analysis, Hitler may not have granted any change in his restrictions under any circumstances, regardless of how hard Kesselring might have pushed him, for Hitler wanted a victory at Anzio. Knowing this, it is distinctly possible that Kesselring request for modification may not have been strongly pursued. Kesselring accepted the restrictions. He felt that he had sufficient combat power to destroy the beachhead, even with the restrictions imposed, so continued the attack as modified with optimism. Further, in light of his desire to conclude the attack as quickly as possible, it is likely that Kesselring wished to conduct the attack as planned in order to release forces for other operations. In the end, however, Kesselring failed to make his point, thus the attack failed, in part, to a combat force too concentrated to be effective and an excellent target for enemy fires. The narrow front restrict i on proved to be a fatal flaw in the attack plan, a flaw foreseen, but not effectively pursued by Kesselring. "What actions did Kesselring take during the battle to influence the flow of events?" In air battle situations, Kesselring has been seen to be a commander who constantly observed combat operations by flying with the attack formations, by landing frequently to encourage the troops, and to lead by example. Did these attributes extend to the battlefield? Following the failure of the first day's efforts to force Lucas to commit his reserves, Kesselring urged the immediate commitment of the Fourteenth Army's second wave forces, in order to force Lucas to commit, and to provide impetus to the drive. Mackensen declined the advice because he had not yet used all of his first wave units, and desired to retain the second wave for exploitation. Kesselring respected Mackensen's decision, and did not interfere with the battle. He did tend to follow his old habit of visiting the troops, however, and in a visit on the first day got himself involved in a controversy concerning artillery. Kesselring continued his constant visits with troops-, but tended not to interfere in the internal operations of the Fourteenth Array command structure, with the exception of the artillery problem described in Chapter Three. Other than providing logistical support to Mackensen, and making suggestions, he did not influence the outcome of the battle. "Do the decisions made by Kesselring immediately prior to and during i.he battle of Anzio provide an indication of his ability as a commander?" In viewing the commitment of the Army Group reserves, certain pieces of factual data, along with Kesselring's statements concerning his thoughts at the time made identifying his decision-making process relatively simple. Within the context of the counterattack, which covers a much greater period of time, and deals with much less precise information, identifying his decision-making process or even his intentions is more difficult. Perhaps, in identifying his ability as a commander, it would be better stated that his style of command was one of trusting subordinates to do their job and providing the material necessary to obtain the desired objective. The intended objective at Anzio was not realized — to destroy the Allied beachhead, but the longterm objective of keeping the Allies south of Rome as long as possible was realized in the effective German effort at containing the beachhead, and in stabilizing the Gustav Line. In measuring Kesselring's command ability strictly by the outcome of the battle of Anzio, it appears that he was not effective, but when taken in light of the larger picture of the situation in Italy, his overall defense within the early months of 1944 was very successful. Measuring the effectiveness of Albert Kesselring as a commander strictly on the basis of his actions before and during the battle of Anzio probably does not provide a comprehensive view of the man, but does provide some indications concerning his approach to command, his dealing with subordinates, and in his thought processes in tight situations, such as the commitment of the Army Group reserves. I believe that the evidence supports this commitment as the only viable alternative that Kesselring had at the time. Looking at other alternatives inevitably leads to the possibility that the Gustav Line would have been lost much earlier than it was. In viewing the events surrounding the Fourteenth Army counterattack, Kesselring becomes a commander willing to allow his subordinate commander the latitude to develop and execute the counterattack, not because of his own weakness as a commander, but because of his trust in the subordinate. He is also seen as a commander who failed to persuade the political leadership to modify restrictions to the counterattack plan, restrictions which later contributed to the failure of the effort. Chapter Five will deal with the implications of the discussion provided in this chapter, with the intention of learning from Albert Kesselring, the Commander in Chief, Southwest in January and February 1944. 1. "German Version of the History of the Italian Campaign" (U. S. Historical Division), p. 82. 2. Siegfried Westphal, "Chapter 13" The Campaign in Italy T-la (U. S. Historical Division, December 1947), p. 29. 4. Albert Kesselring, A Soldier's Story (New York: William Morrow and Co., 1963), p. 231. 5. "Third Infantry Division Field Order Number One" (U. S. Historical Division, MS N-12186-A, 10 January 1944), p. 31. 8. Albert Kesselring and Siegfried Westphal, "Questions Regarding the General Strategy during the Italian Campaign" (U. S. Historical Division, MS B-270), p. 29. 9. Siegfried Westphal, The German Army in the West (London: Cassell and Co., Ltd., 1951), p. 155. 12. Eberhard von Mackensen, "Supplement to Chapter 12" The German Campaign in Italy T-la (U. S. Historical Division, December 1947), p. 28. The bulk of the analysis and specific conclusions concerning Kesselring's actions relating to the Allied amphibious assault at Anzio were addressed in Chapter Four. The conclusions drawn from the answer to the research questions accomplished the primary investigative intent of this paper. The purpose of this chapter is to provide some generalized conclusions in attempting to transfer some of the considerations which Kesselring had to face in Italy in 1944 to our present situation. The discussion will generally follow the outline of information presented in both Chapters Three and Four. Also provided will be some final comments about. Kesselring drawn from this study, and recommendations for further study. Kesselring's commitment of the Army Group C reserves to stop the X British Corps' drive to the southern approaches of the Liri valley is a study in flexibility and operational risk. During the analysis presented in Chapter Four, various options available to Kesselring and their possible influence on both the attack along the Gustav Line and the imminent invasion at Anzio were considered. In that discussion — with the luxury of time and a lot of information — I concluded that Kesselring acted in the only manner which would not force him to withdraw from the Gustav Line. He committed his reserves from Rome to stabilize the Line in order to prevent a breakthrough and an exploitation. From his perspective, at that point in time, such an action was a risk dictated in accomplishing his operational objective. Commanding in combat, is an activity which obviously demands a certain amount of risk. Though Kesselring attempted to gather and utilize as much information as possible concerning Allied intentions, he could never be fully certain that General Clark would not attempt an amphibious landing while the Army Group C's reserves were tied down along the Gustav Line, yet the risk of not committing those reserves seemed to outweigh the danger of a possible amphibious .landing. The possibilities were explored, probably were even thought out in some detail in advance, information considered, and opinions gathered — then the decision was made and carried out quickly and efficiently with good results along the Gustav Line. As we learn to apply concepts embedded in the Air-Land battle, reinforced interest will be placed on the need to seriously consider risks in the commitment of combat assets throughout the depth of the battlefield. Commitment of scarce resources at one place in the battle translates into the lack of resources in other areas of the battlefield, and increases the need for cartful consideration of timing violent actions at critical points. A commander has always been forced to consider trarde-offs in the effective use of those assets, for they are limited. Kesselring faced a danger from two directions. Because the attack against Army Group C was conducted in a staggered fashion, he had the luxury of utilizing interior lines to concentrate his limited resources first in the XIV Panzer Corps area, then at the Anzio-Nettuno beachhead. Timing and concentration were critical. Though acting in a reactive manner, the decision to commit hio reserves allowed Kesselring to quickly defeat the Fifth Army attack along the defensive line, then to shift reserve forces to the beachhead. In his commitment of those reserves, Kesselring considered requirements for their removal and re-commitment in case of a landing. These factors were considered in his risk analysis, and are instructive to us today as we consider the possibility of attacks not only along our front, but also deep into our rear as well. Another aspect of Kesselring's actions in the commitment of the Army Group C reserves is his flexibility. The Army Group reserves were specifically designed to provide protection against an amphibious landing in the area of Rome. Kesselring and Vietinghoff were shifting forces with in the Tenth Army at the time of Clark's efforts along the Gustav Line in order to provide flexible reserves for the Tenth Army. The intent of those reserves was to defeat any enemy attempt to force the defensive position:, both along the Gustav defenses and the Sangro River on the other side of the peninsula. Thus, when the British X Corps made quick penetrations into the 94th Infantry Division's area on the German right flank, Kesselring was asked to commit resources from the Army Group which were meant for another purpose. Within the context of the intent of Kesselring's immediate concept, that request was "out of line." Kesselring knew, however, that the Tenth Army was far from properly restructured according to plan and very possibly could not stem the Allied tide without assistance. In light of the situation, Kesselring modified his concept to allow the temporary commitment of the 1 Parachute Corps and two divisions. Each commander, of course, must be capable of deciding when an opportunity to demonstrate flexibility will lead to success and when the best road is built upon the plan as it is currently conceived. In KesseLring's case, he was willing to commit the reserve to the Gustav Line, yet later refused Vietinghoff1s request to withdraw from the Line following the Allied landing at Anzio. In each case, Kesselring's actions were vindicated by subsequent events, yet what was the foundation of his actions? In part, flexibility is tied to risk, for to take action which deviates from a developed concept of operations requires the consideration of risk. Yet action which deviates from a developed concept must be built on careful consideration of the consequences. In Kesselring's case, the bottom line of his concept was to prevent the Allies from forcing the Tenth Army to withdraw from the Gustav Line to positions north of Rome before the end of winter. He committed his reserves to prevent that possibility, then later concentrated forces at Anzio to achieve the same purpose. When Vietinghoff requested that the Tenth Army be allowed to withdraw because of the danger posed by the Allied landing at Anzio, Kesselring was unwilling to allow that action because it violated his basic operational concept. Thus Kesselring was willing to be flexible within the parameters of his operational concept, but was not willing to step outside of those parameters unless collapse was imminent. Consequently, flexibility and risk have their limits. They are limited by the intent of the commander. Kesselring demonstrated a significant amount of latitude within his intent and the direction given by OKW, but remained committed to the overall concept of his operation in Italy. Within clearly stated command intent, we must be willing to take careful, yet decisive risks and to be flexible in the application of combat power. When asked about American combat operations in Italy following the war, Kesselring remarked that one of our greatest shortcomings was he was willing to commit the reserve to the Gustav Line, yet later refused Vietinghoff's request to withdraw from the Line following the Allied landing at Anzio. In each case, Kesselring's actions were vindicated by subsequent events, yet what was the foundation of his actions? Consequently, flexibility and risk have their limits. They are .limited by the intent of the commander. Kesselring demonstrated a significant amount of latitude within his intent and the direction given by OKW, but remained committed to the overall concept of his operation in Italy. Within clearly stated command intent, we must be willing to take careful, yet decisive risks and to be flexible in the application of combat power. When asked about American combat operations in Italy following the war, Kesselring remarked that one of our greatest shortcomings was our predictability and lack of risk taking. I do not believe that we have significantly changed in this respect. We still tend to work from the safe side, thus we are predictable in our combat actions. In looking at Kesselring's commitment of the Army Group C reserves, conclusions can be drawn concerning the limits of his willingness to take risk and demonstrate flexibility in combat opera, ions. He limited both himself and the actions of his subordinates in the effect a certain combat initiative would have on the retention of the Gustav Line. The issue involved in the discussion of the development and implementation of the 16 February 1944 counterattack plan against the Anzio beachhead by the Fourteenth Army is one of command relationships. The relationship between Kesselring and Mackensen is primarily in view during the time that the plan was developed and during its execution. In attempting to get the restrictions modified, the command relationship to be considered is between OKW and Army Group C — between Kesselring and Hitler. As the counterattack plan developed from a hasty attack earlier planned, Kesselring and Mackensen agreed on the axis of the attack and the amount of forces required to be successful. They disagreed, however, on the timing of the attack. Kesselring wanted to begin as soon as possible while Mackensen desired to insure that the attack be well prepared. Kesselring was either not willing or not able to force his point of view upon Mackensen. Because Mackensen felt that Kesselring lacked confidence in him over this issue, he submitted his resignation. Kesselring did not accept the resignation and allowed Mackensen to develop the preparations based upon his schedule. This discussion is perennial. Every commander must face the possibility of disagreement with a subordinate over the conduct of a tactical or operational action, and must realize that the disagreement may well be founded on excellent information with workable consequences. The discussion between Kesselring and Mackensen is merely one of countless such discussions taken at many command levels throughout the history of warfare. What is instructive here is not the disagreement itself, but the assumption with which Kesselring went to the disagreement — the assumption that the attack would be successful because of sheer Axis forces available to overwhelm the Allied positions. Thus, the basic operational assumption is one of reasonable victory despite the timing. A second important factor is that Kesselring approached this problem with enough trust in Mackensen to allow him to proceed with his plan. Within the context of the development of the counterattack plan, Kesselring provided resources and direction to Mackensen. Though the guidelines for conducting the action included the direction of the attack, Kesselring chose not to make the timing of the attack a parameter, but a point available for compromise. To generalize this situation to contemporary consideration, command relationships must be built on professional trust and clearly stared guidelines for the conduct of operations. We do not know exactly what guidelines were stated to Mackensen, but can surmise the conditions based upon the nature of the disagreement. Professional discussion within the areas of latitude allowed should be encouraged and seriously considered. Kesselring's disagreement with Mackensen was heated enough for Mackensen to offer his resignation — this level of disagreement is obviously not conducive to the development of trust. The second area of command relationship in the issue of the counterattack is the discussion between Army Group C and OKW. Obviously, an Army Group Commander in the Wehrmacht had to deal not only with his subordinates, but with OKW as well. Such relationships could be infinitely more difficult, given the political climate of the Third Reich. Kesselring objected to only one of the three restrictions placed upon Mackensen's plan, yet he was unable to get that restriction modified. Again, Kesselring felt that the counterattack could succeed even with the OKW restriction, thus was apparently not greatly disappointed with OKW's decision. From the opposite perspective, OKW apparently considered the restriction concerning the width of the attack to be a parameter which would not be negotiated. As stated in the last chapter, Kesselring was much better at modifying political actions over the long term as opposed to the short terra. The relationship between a senior commander and the political leadership of this country is somewhat different. Although there have been many instances where specific restrictions on tactical and operational action have been dictated by the political leadership of the United States, these restrictions usually occur during the conduct of a limited war. Tactical restricti ons of the nature which Kesselring and Mackensen dealt would be highly unusual for an American commander during a general war. Yet, as we face the possibility of continued or increased involvement in low intensity conflicts, the possibility of operating in an environment with strict tactical parameters dictated by the national command authority is high. In such situations, communication between the senior service chiefs and the political leadership must be concise, resulting in clearly stated military, political, economic and social objectives and tactical restrictions to the use of combat power. From the military perspective, the restrictions at Anzio were clearly stated, and were followed as much as possible, to the detriment of the counterattack. "An order shall contain everything that a commander cannot do by himself, but nothing else." This meant that the commander in chief should hardly ever interfere with tactical arrangements. Kesselring understood the importance of providing direction and resources, then allowing the commander to do his job. Though it is possible to criticize Kesselring for not providing firmer control over Mackensen in the matter of timing the commitment of the reserves, such was not Kesselring's approach. to go wrong. The issue in question is the degree to which a senior should direct tactical action over a subordinate once the action is initiated. The decision, of course, in the case of the rescue mission on the conditions which would force an abort, had been decided ahead of time, yet the commander charged with the conduct of the raid was not given the latitude to make that decision. As demonstrated in the discussion concerning political constraints being placed on a given operation earlier in this chapter, the general sequence is for the constraints to be clearly stated by the political leadership, as OKW did to Kesselring and Mackensen, then for the commanders to carry out the mission within those constraints, controlling the action on the battlefield within stated guidelines. In the Iranian rescue attempt, one of the constraints was the Presidential reservation to abort based on certain criteria. Certainly, the nature of the conflict in these two examples is very different, yet to provide for the optimal chance for success, the senior commander must allow his subordinate tactical latitude, even to deviate from the plan within his means and parameters, as long as the mission is accomplished. Kesselring allowed that latitude. The national command authority in the Iranian rescue attempt did not. The concluding statements concerning Kesselring as a military professional are straightforward, and not very original or profound. He made a significant contribution to the development of the young Luftwaffe as its second Chief of Staff, commanded operational Luftwaffe units in Poland, the Netherlands, Belgium, France, the Soviet Union and in the Mediterranian, and was a theater commander. From his World War 1 experience, Kesselring was a recognized expert in ground defensive operations and an accomplished staff officer. He demonstrated excellent administrative abilities as one of the bright young men recruited by von Seekt during the interwar years. These facts can be found anywhere there is a discussion of the development of the Luftwaffe or operations in Italy. Yet, what made Albert Kesselring unique, what made him successful in keeping the Allies at bay in Italy for so long? That is a difficult question to answer, for there is no single factcr which contributed to his success. He had talented subordinates, a good staff, the luxury of dealing directly with all three services as the theater commander, generally good rapport with OKW following his successful withdrawal from Salerno to the Bernhardt Line, and an enemy which was relatively predictable. Yet these factors still do not spell success, for Kesselring had to make use of the advantages available and minimize Axis deficiencies. Administratively, Kesselring was very capable of seeing strengths and weaknesses, and taking action to make the most of opportunities. Perhaps most important, however, was his optimistic, stubborn personality. Once Kesselring made attempts to stack advantages in his favor, he communicated his intentions clearly, invited discussion, then stubbornly stood by the parameters he set for a plan while allowing his subordinates the opportunity to freely operate within these parameters. Kesselring's defense of Italy is a historical event which deserves closer study tha. has received. Specific aspects which should be addressed will be suggested in the next section. In general, however, Kesselring as a commander deserves close attention, not only to plumb the depths of his command personality, but to analyze his methods and further evaluate command relationships. As this paper developed, I began to limit the scope of the investigation considerably. As a result, a number of issuer were touched upon, but not seriously addressed due to the limits of time and space. I would like to take the opportunity to commend a few of these discussions for further research. One of the more troubling aspects of this investigation which remains unresolved is the intent of Admiral Canaris in his visit to Kesselring's headquarters prior to the invasion at Anzio. It has been alleged in several books, including The Trail of the Fox by David Irving, that Canaris and other members of the Abwehr were involved in spreading misinformation to members of the German armed forces. I have been unable to link Canaris' visit with any attempt to deceive Army Group C about Allied intentions at Anzio. Because Canaris was such a shadowy figure, perhaps we will never know what he really did in the war regarding possible contacts with the Allies or if he was a double agent. Indeed, attempting to put a finger upon his visit to Kesselring and identify the intent of his statement concerning the shipping in Naples harbor would probably be very difficult. The possibility that he deliberately misled Kesselring and Westphal, however, still exists, and beckons further historical research beyond published works in an attempt to find the truth. Reference is made in the paper to the development of an artillery concept identified as the "feuerleit-batterie”. Under this concept, all artillery in the Fourteenth Army fell under the direct control of the Army artillery officer, General Jahn. During the research, I found no other reference to the idea or of its success. 1 suggest that further research be done on this subject to discover any other use of the idea and its relation to the development of artillery organization and utilization within the German Army during World War II. A particular question which could be addressed is if the idea was originally approached at Anzio, or if it was part of an artillery evolution within the German Army. Kesselring's staff did a superb job in providing supplies to both the forces around the beachhead and along the Gustav Line under very trying conditions. When Case RICHARD and MARDER I were implemented, troop movements were very efficient. An interesting and important study would be to undertake an evaluation of how these feats were accomplished under conditions of unquestionable Allied air superiority. During the analysis of Chapter Four, I indicated that I could find no basis, other than weather and tide data, which drove the German estimates to predict that an Allied attack would occur around the middle of February. Because the Army Group C reorganization was built around this assumption, I feel that this particular issue is worth further study. Information is available to allow scholars to provide an indepth evaluation of Kesselring in his defense of Italy. The quality and direction of that evaluation is for future researchers to pursue. It is the intent of this paper to provide a foundation for that research. 2. Edward M. Earle, ed., Makers of Modern Strategy (Princeton: Princeton University Press, 1971), p. 180. Allen, William L. Anzio: Edge of Disaster. New York: Elsevier-Dutton, 1978. A very good account of the battle, Including the impact of ULTRA on Allied decisions at Anzio. Some evaluation is contained in the narrative. This book includes an index and bibliography. Blumenson, Martin. Anzio: The Gamble that Tailed. New York: J. B. Lippincott Co., 1963. An objective account of Anzio keying on the Allied perspective. This book includes an index. Blumenson, Martin. Salerno to Cassino. Washington D. C.: Center of Military History, 1969. This volume is an excellent account of operations in Italy from the landing ac Salerno to May 1944, including the Allied landing at Anzio. It includes an index. Blumenson, Martin. Sicily: Whose Victory? New York: Ballantine Books, 1968. This is a brief account of the battle for Sicily. It contains a good evaluation of Kesselring in that context. Bradley, Omar N. A Soldier's Story. New York: Rand McNally, 1951. This autobiography provides excellent background for Allied intentions and operations during the Sicilian campaign. Brown, Antony C. Bodyguard of Lies. New York: Harper and Row, 1975. The focus of this book is the Allies' surprise attack on D-Day in France and the reasons this attack was a surprise. Clark, Mark. Calculated Risk. New York: Harper and Brothers, 1950. This book contains a concise chapter on Anzio from the perspective of the Fifth Army commander. No index or bibliography is included. Colvin, Ian. Canaris, Chief of Intellegence. Maidstone, England: George Mann, Ltd., 1973. Written by a journalist familiar with pre-war Berlin, this was the first". published material implicating Canaris' dealing with the Allies in an attempt to work against Hitler. Fisher, Ernest F., Jr. Cassino to the Alps. Washington D.C.s Center of Military History, 1977. This book is a good account of operations in Italy beginning with breaking the Gustav Line and the breakout from Anzio. It includes an index. Graham, Dominich« Cassino. New York: Ballantine Books, 1970. This book is a part of the Ballantine Illustrated History series. If offers a brief account of actions at Cassino in conjunction with the Allied landings at Anzio. Greenfield, Kent R., (ed). Command Decisions. Washington D. C.: Office of the Chief of Military History, 1960. This book is a compilation of analysis of command decisions written by several authors. It includes a section on the Kesselring-Rommel debate. Jackson, W. G. F. The Battle for Italy. New York: Harper and Row, 1967. The best part of this book is the excellent maps and sketches, which are valuable in tracing the movement of units. It contains a good order of battle and an index. Kesselring, Albert. A Soldier's Story. New York: William Morrow and Co., 1963. This is a straightforward autobiography with an introduction by S. L. A. Marshal. It is a valuable resource and includes an index. Leverkuehn, Paul. German Military Intellegence. New York: Frederich Praeger, Inc., 1954. A discussion of German intellegence gy Canaris' chief in Instanbul. Liddel-Hart, B. H. The Ronimel Papers. New York: Karcourt, Brace and Company, 1953. This publication of Rommel's papers includes a discussion of Rommel's relationship with Kesselring and the Rommel-Kesselring debate in 1943. Linklater, Eric. The Campaign in Italy. London: Her Majesty's Stationery Office, 1951. The Anzio battle is contained in a larger chapter. This book contains good maps and is of excellent research value. It includes an index. Macksey, Kenneth. Afrika Korps. New York: Ballantine Books, 1968. This book provides a discussion of the Axis operations in North Africa, and includes insights into command relationships. It includes a brief bibliography. Kesselring: The Making of the Luftwaffe. New York: David McKay Company, Inc., 1978. This biography is essentially an analysis of Kesselring's personal and political capabilities and some military assessment. It is well written and of excellent research value. Ic includes an index and bibliography. Mason, Herbert Malloy. The Rise of thf. Luftwaffe. New York: The Dial Press, 1973. A simple account of the development of the Luftwaffe from 1920 to 1945. Mellenthin, R. W. von. Panzer Battles. New York: Ballantine Books, 1956. This book provides a good discussion of the situation in North Africa with some insight into the command structure. Sheehan, Fred. Anzio, Epic of Bravery. Norman: University of Oklahoma Press* 1964. This author was at Anzio as a soldier. The story is told from an Allied perspective. It contains maps, a bibliography and an index. Senger und Etterlin, Fridovon. Neither Fear nor Hope. New York: E. P. Dutton and Co., Inc., 1964. This book contains an excellent account of Army Group C operations for the Corps level during the defense of the Gustav Line. Vaughn-Tomas, Wynford. Anzio. New York: Holt, Rinehart and Winston, 1961. This work is a balanced account of the battle, including the German perspective. It includes an index and bibliography. Westphal, Siegfried. The German Army in the West. London: Gassel and Co., 1950. An excellent account written shortly after the war from a German perspective. The author was the chief of staff to Rommel, Kesselring and Rundstedt. The treatment of Anzio is brief but informative. Bernstorff, Douglas. "The operations of the 26th Panzer Division in Italy (7 September 1943 — 23 January 1944)." U. S. Historical Division, MS D316. Conrad, Gerhard. "Preparations for the Commitment of Parachute and other Airborne Units in the Projected invasion of Malta." U. S. Historical Division, MS D065. Deichmann, Paul. "Designation of OB Svid as Supreme Commander Mediterranean Theater." U. S. Historical Division, MS D008. Deichmann, Paul. "Mission of OB S(ld with the Auxillery Battle Command in North Africa after the Allied Landing." U. S. Historical Division, MS D067. Fries, Walter. "Commitment of the 29th Panzer Grenadier Division during the German Counter-attack for the Elimination of the Anzio N-:ttuno Beachhead in February 1944." U. S. Historical Division, MS D141. "German Version of the History of the Italien Campaign." U. S. Historical Division. 1944." The Campaign in Italy T-la. U. S. Historical Division, December 1947. Kesselring, Albert and Westphal, Siegfried. "Questions Regarding the General Strategy during the Italian Campaign." U. S. Historical Division, MS B270. Kesselring, Albert. "Commentary on the Paper of Graf von Klinkowstroem." U. S. Historical Division, MS D313. Kesselring, Albert. "Concluding Remarks on the Mediterranian Campaign." U. S. Historical Division, MS C014. Kesselring, Albert. "Italy as a Military Ally." U. S. Historical Division, MS C015. Klinkowstroem, Graf von. "Italy's Break-Away and the Fighting Around Rome." U. S. Historical Division, MS D301. Knappe, Major. "94th Infantry Division (Italy) U December 1943-8 April 1944." U. S. Historical Division, MS D380. Kuhn, Walter. "The Artillery at Anzio-Nettuno." U. S. Historical Division, MS D158. Mackensen, Eberhard von. "Commentary by Gen.ral von Mack-- ensen, Supplement co Chapter XII." The Campaign in Italy T-la. U. S. Historical Division, December 1947. Maelzer, Kurt. "The Problem of Rome during the Period of the Fighting near Anzio-Nettuno until the Evacuation on 4 June 1944." U. S. Historical Division, MS D314. Moench, Hans. "Organization and Activity of Coastal Artillery in the Italian Theater of Operations 1943-1944." U. 3. Historical Division MS D208. Pohl, Ritter von. Commitment of Flak and Fighters to Protect the German Routes of Supply in Italy." U. S. Historical Division, MS D191. Rath, Hans-Joachim. "The 1st Stuka Wing in the Mediterranian Theater, February - May 1941." U. S. Historical Division, MS D064. Schmidt, Martin. "Employment of Panzer Units in Central Italy in 1944 and Peculiarities Thereof." U. S. Historical Division, MS B204. Seibt, Conrad. "Preparation" for the Capture of Malta." U. S. Historical Division, MS D094. Stange, Klaus. "Railroad Situation from January 1944 up to the Beginning of the May Offensive (Italy)." U. S. Historical Division, MS D049. Ullesperger, Wilhelm. "Fortress Engineers on the Mediterranean Coast." U. S. Historical Division, MS B449. Vietinghoff, Heinrich von. "Chapter VI — The Tenth Army Campaign in Southern and Central Italy with special Reference to the Battles at Salerno, on the Volturno, Gar>gliano, Sangro and for Cassino." The Campaign Ifi Italy T-la. U. S. Historical Division, December 1947. Wehrig,'Max. "Duties and Operations of the Italian Section of the Chief of Wehrmacht Motor Transportation." U. S. Historical Division, MS D126. Westphal, Siegfried. "The Army Group's Version, Chapter VII." The Campaign in Italy T-la. U. S. Historical Division, December 1947.
in Italy T-la. U, 3. Historical Division, December 1947. "Air Force Participation in Operation Shingle." U. S. Historical Division, MS 11614, 19 February 1944. Field Order Number One." U. S. Historical Division, MS 12186A, 10 January 1944. "The German Operations at Anzio." German Military Document Section, Military Intelligence Division, 9 April 1946. Bauer, Magna E. "Shifting of German Units before and during Nettuno landing and effects of American Rapido River Attack on 21 January 1944 on the Movement of German Reserves." Washington D. C.: Office of the Chief of Military History, November 1955. Marvogordato, Ralph S. “XIV Panzer Corps Defensive Operations along theGarigliano, Cari, and Rapido Rivers, 17-31 January 1944.” Washington D.C., Office of the Chief of Military history, November, 1955. Blumenson, Martin. “Anzio: Dilemma on the Beachhead.” Army, March 1983, pp. 38-48. Sixsmith, Major General E. K. G. “Alexander and Kesselring”. Army Quarterly and Defense Journal 85 (October 1967), 184.